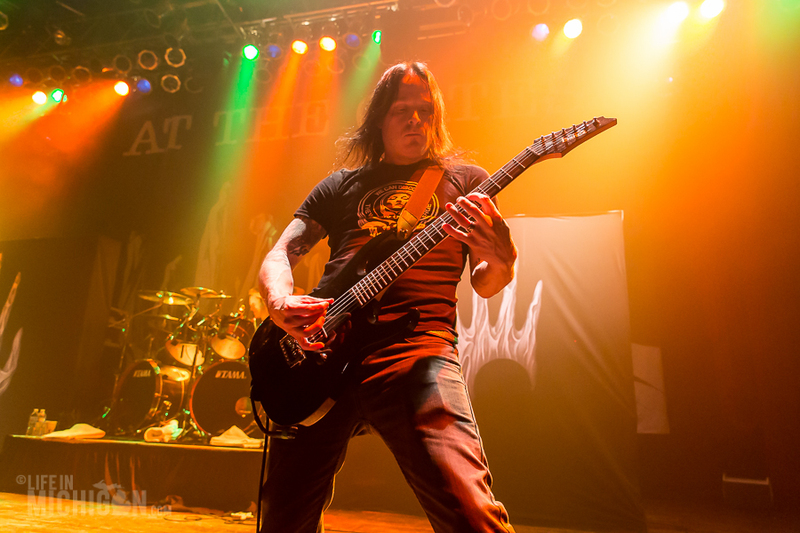 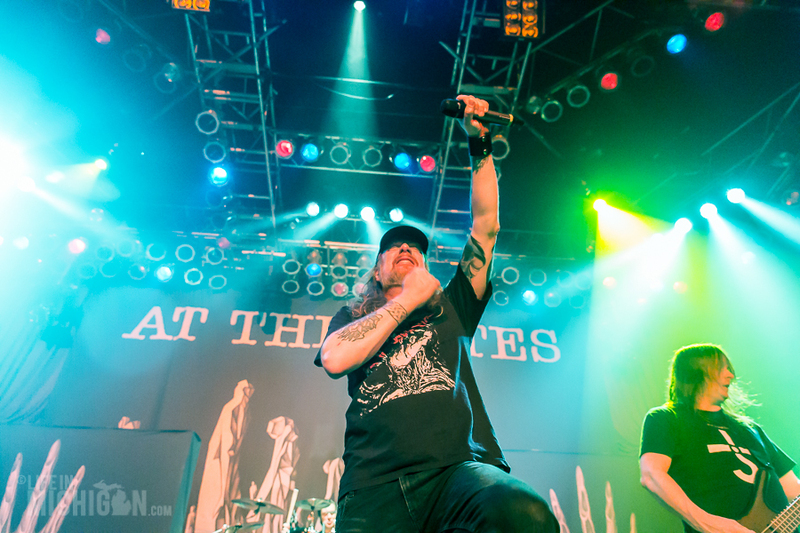 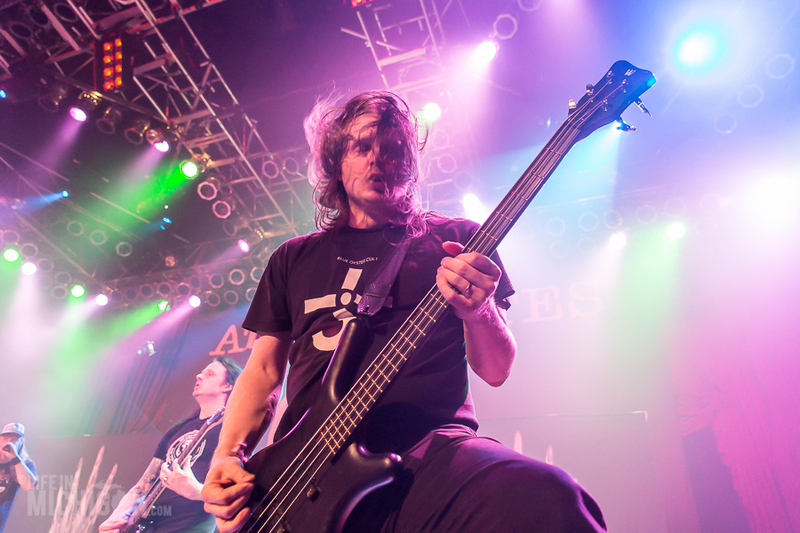 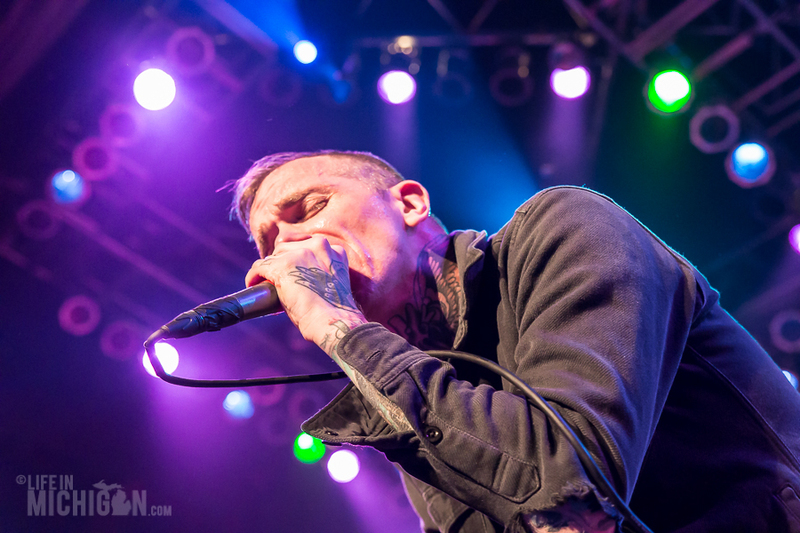 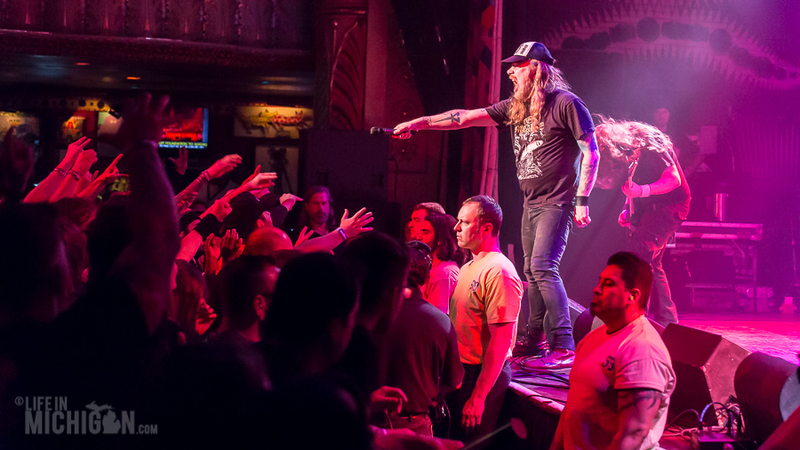 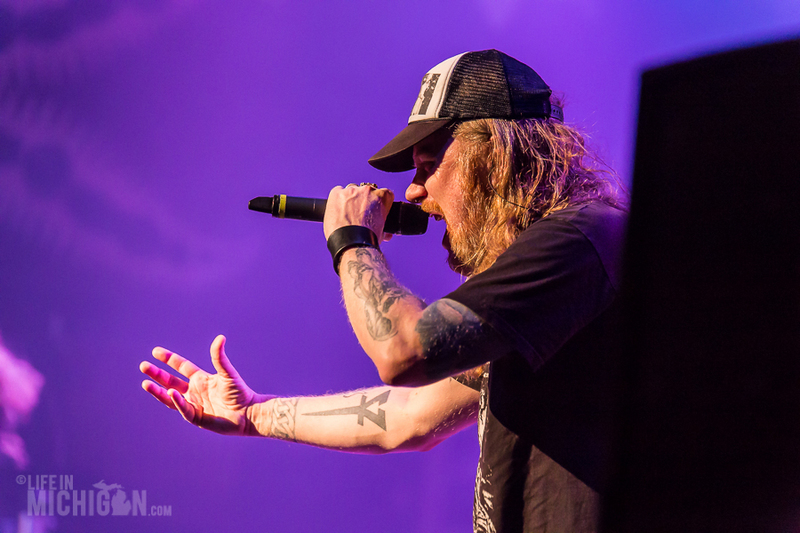 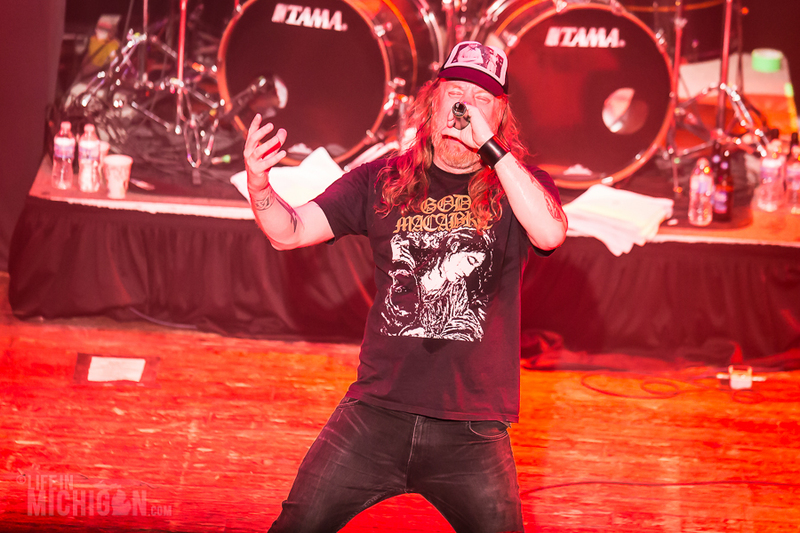 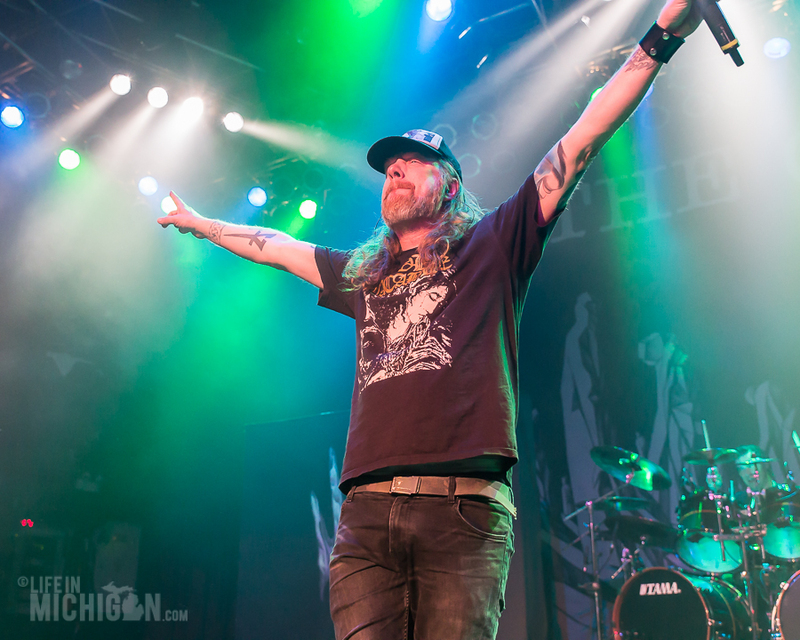 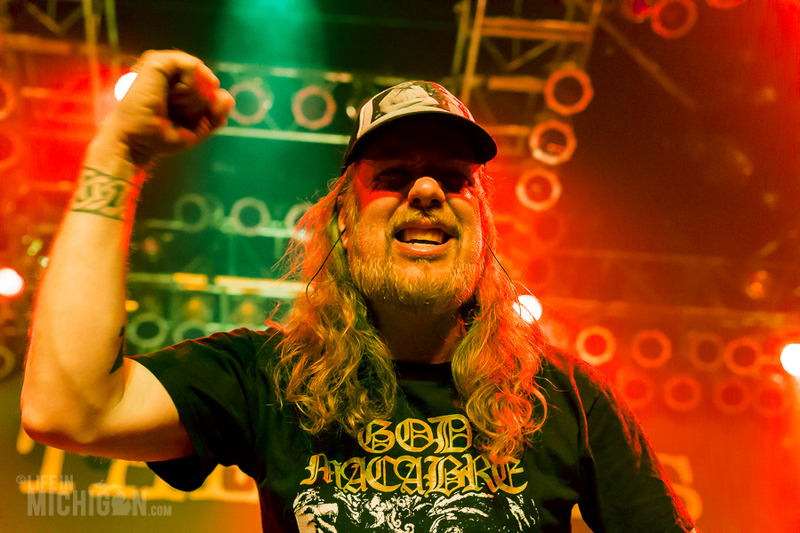 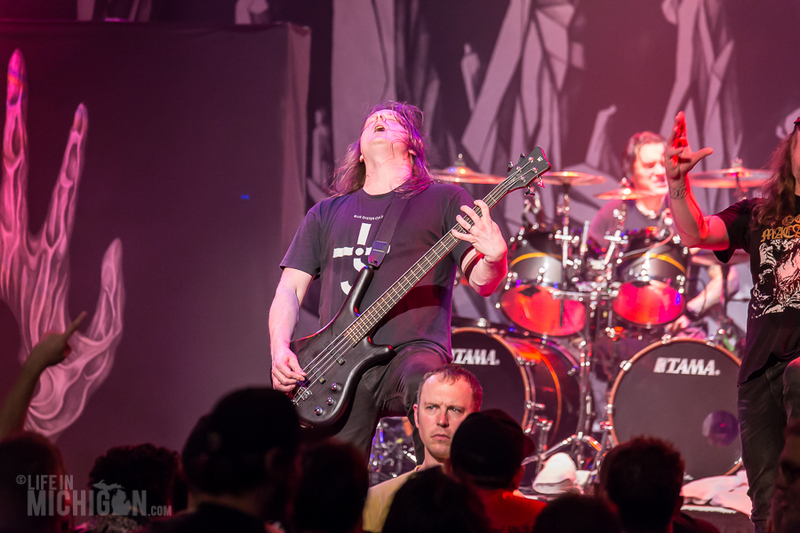 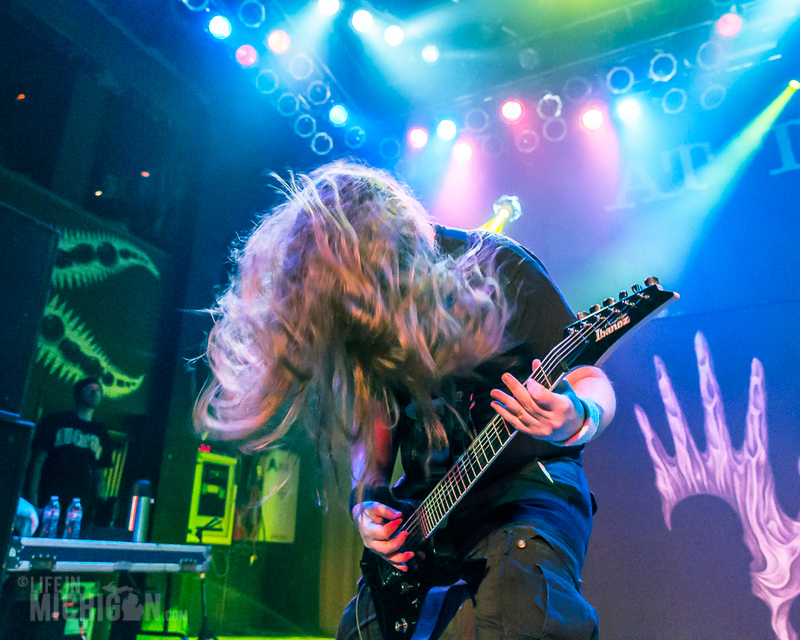 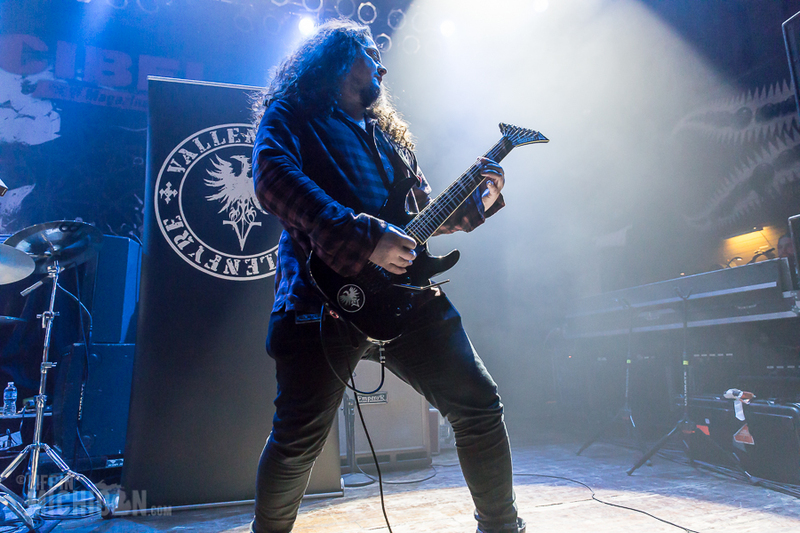 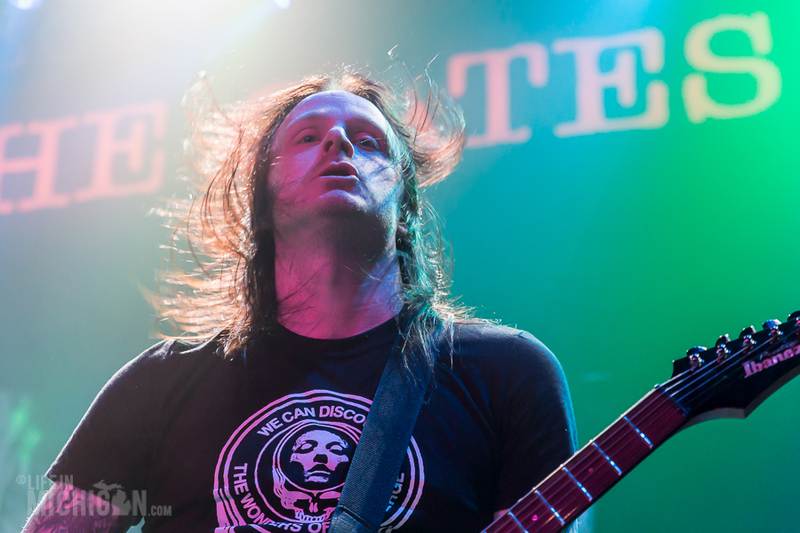 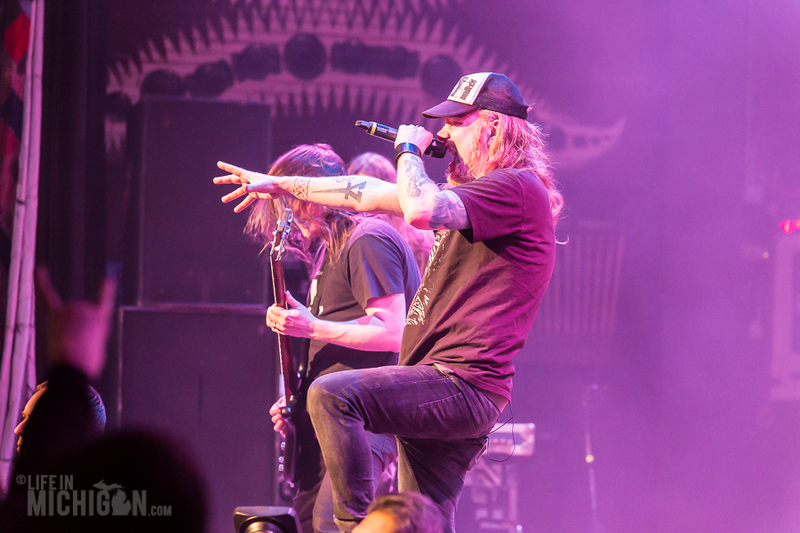 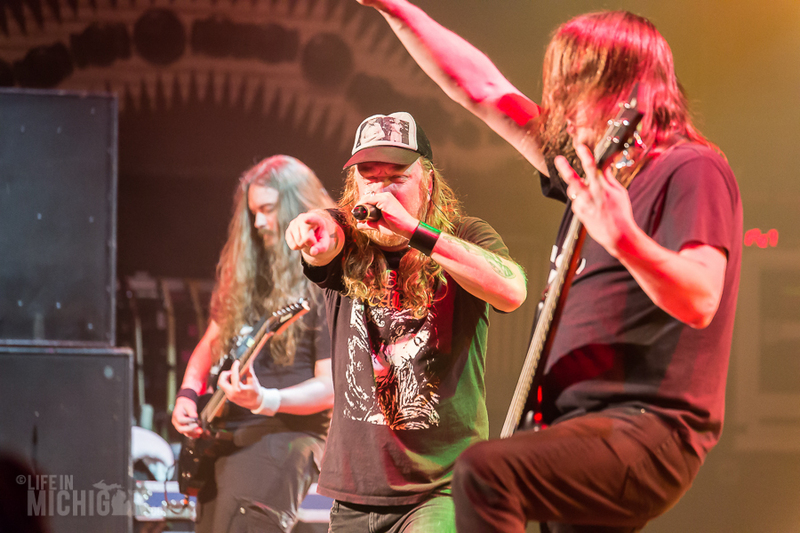 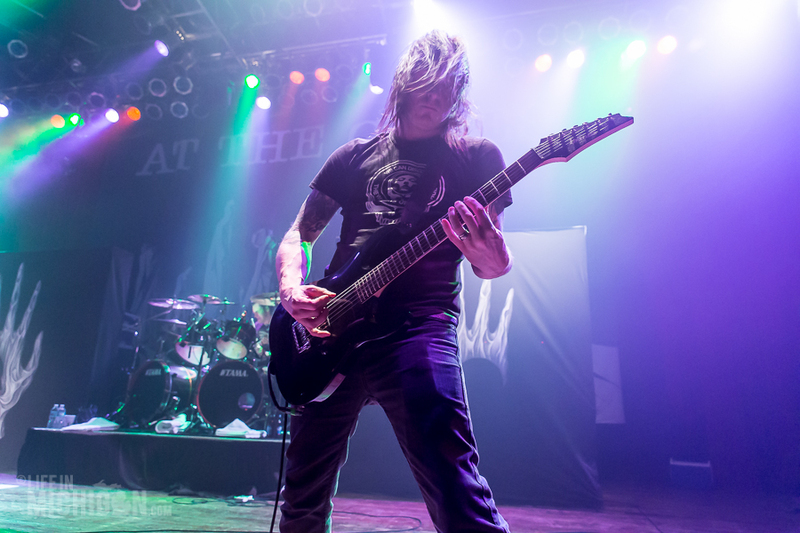 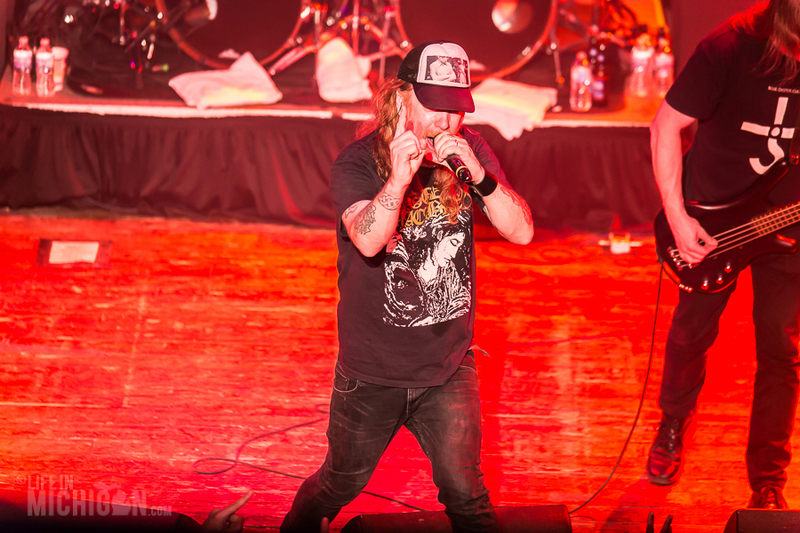 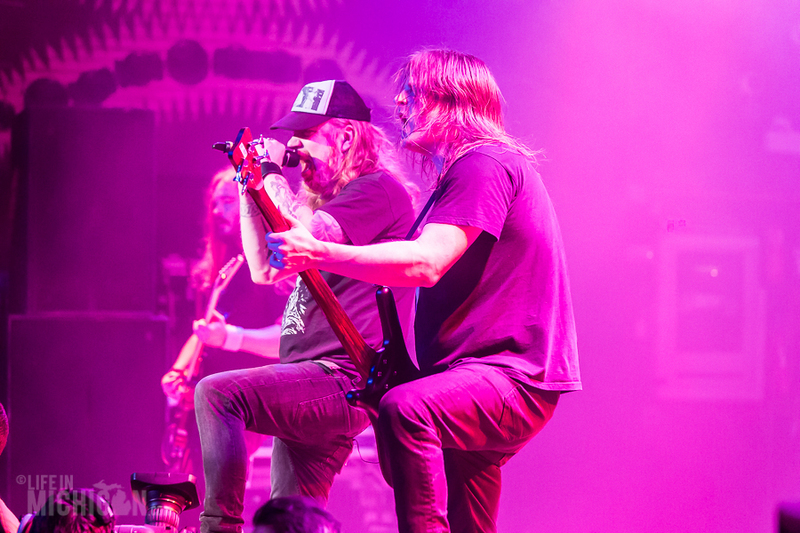 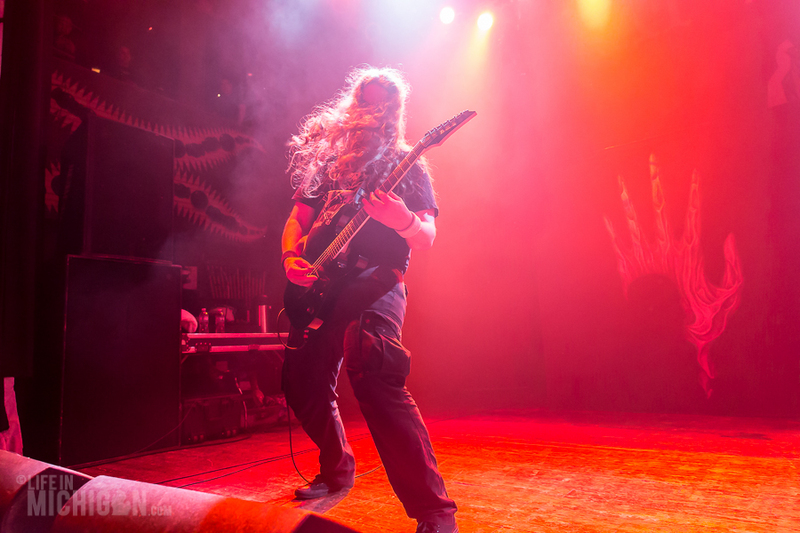 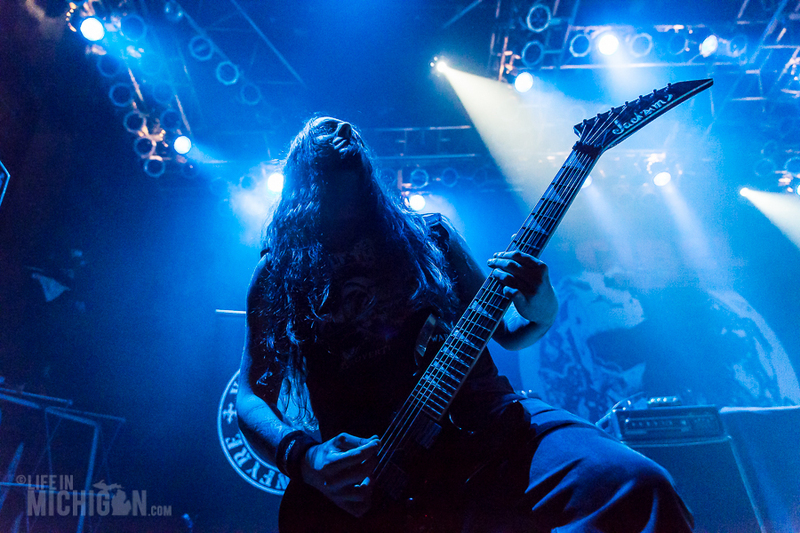 At The Gates devastated the House of Blues in Chicago as they crushed the states on the Decibel Magazine Tour. 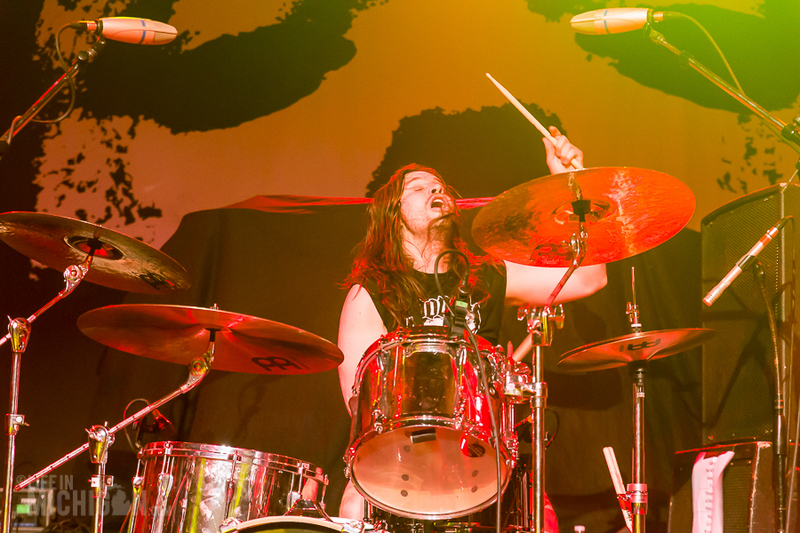 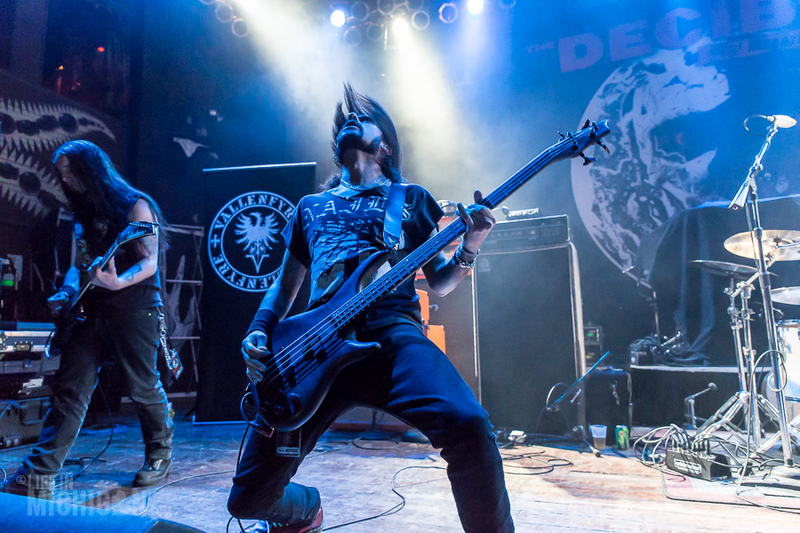 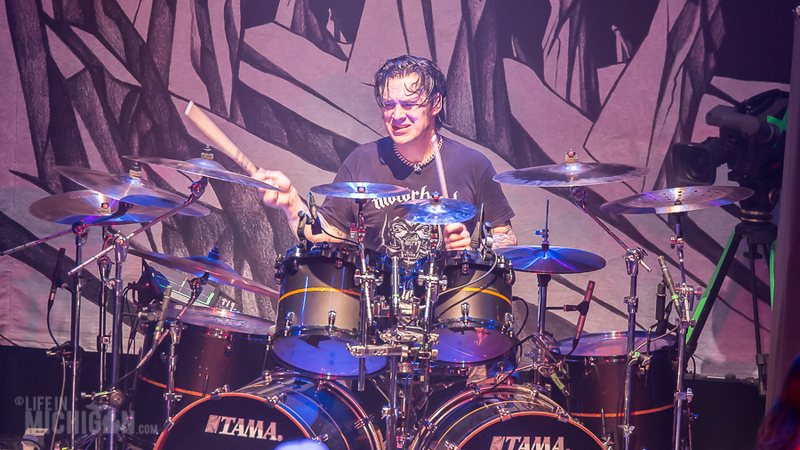 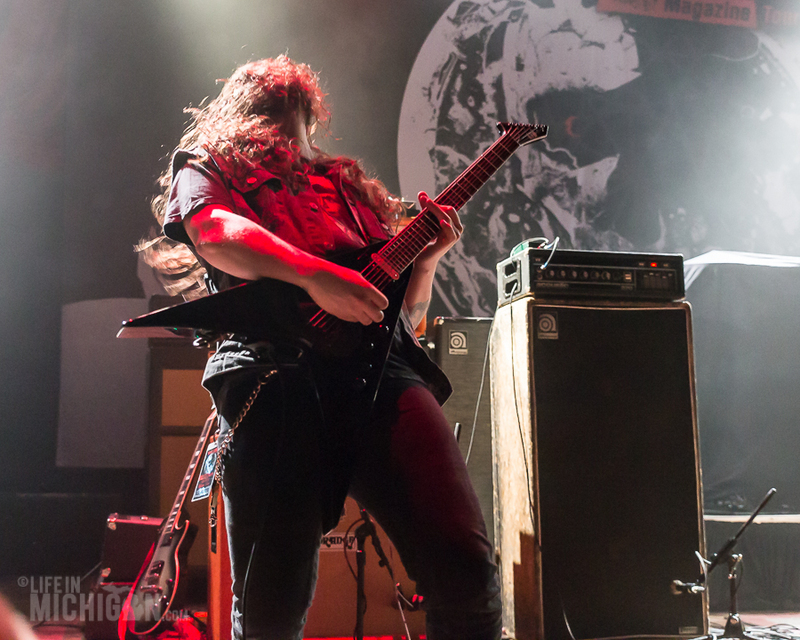 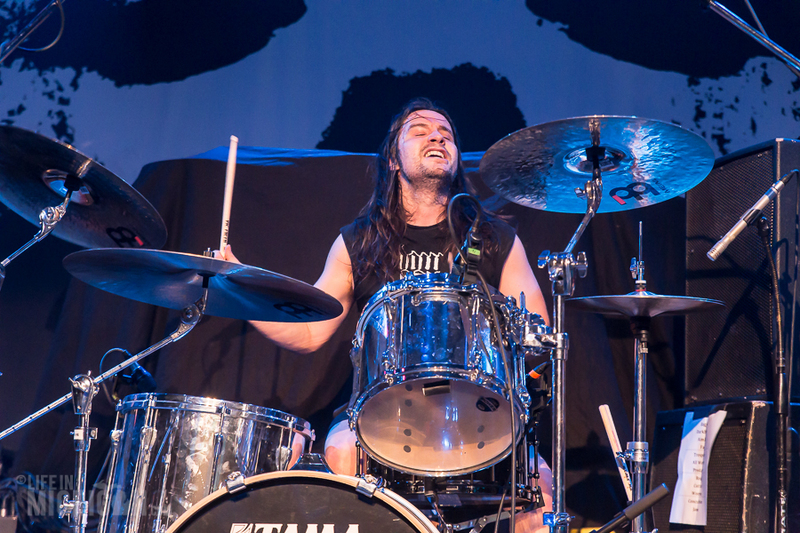 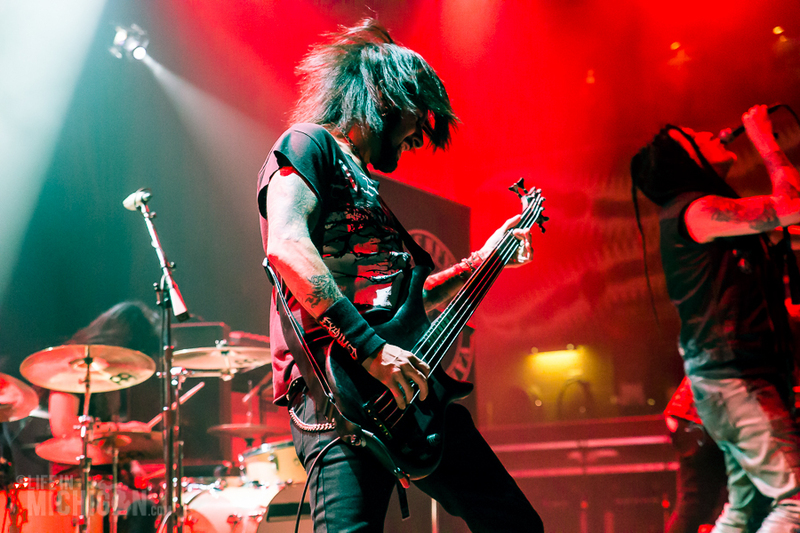 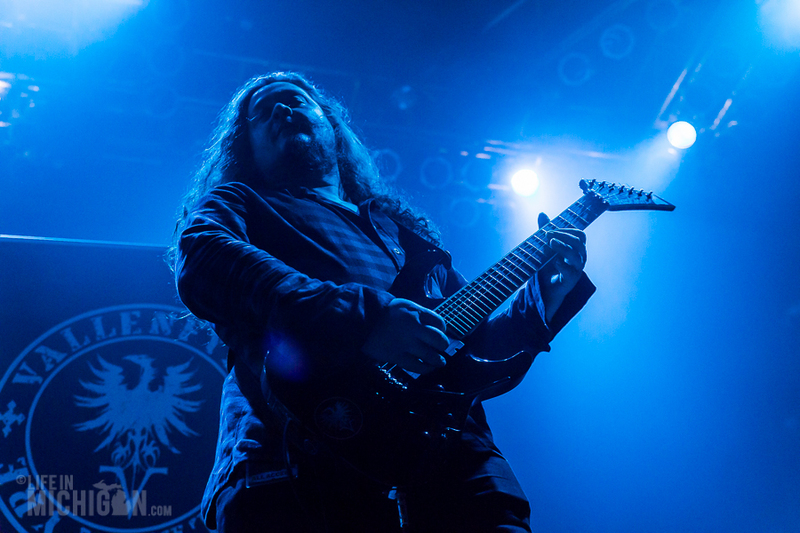 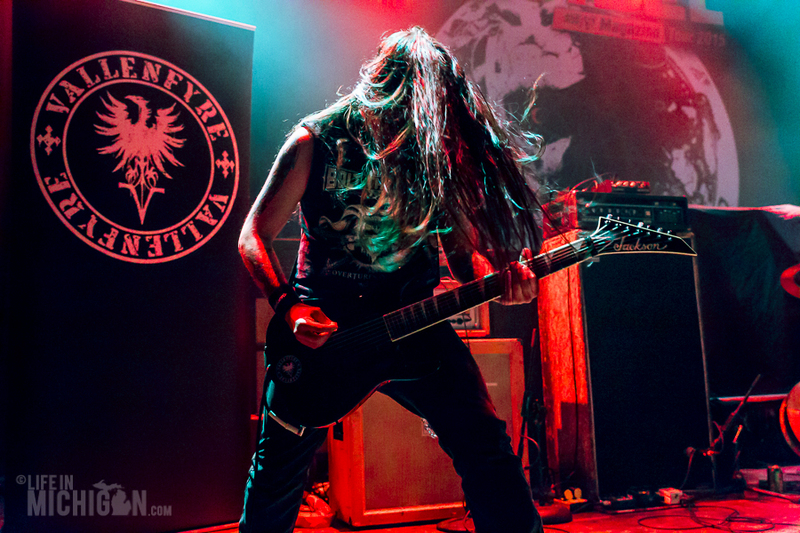 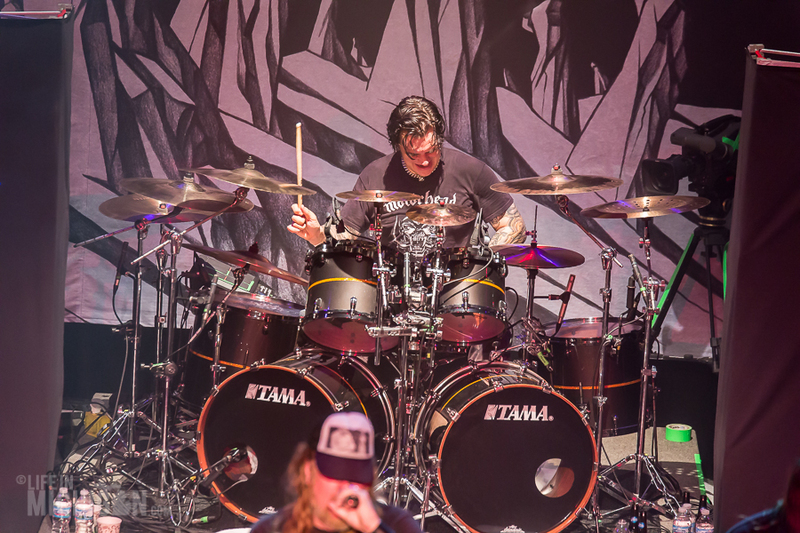 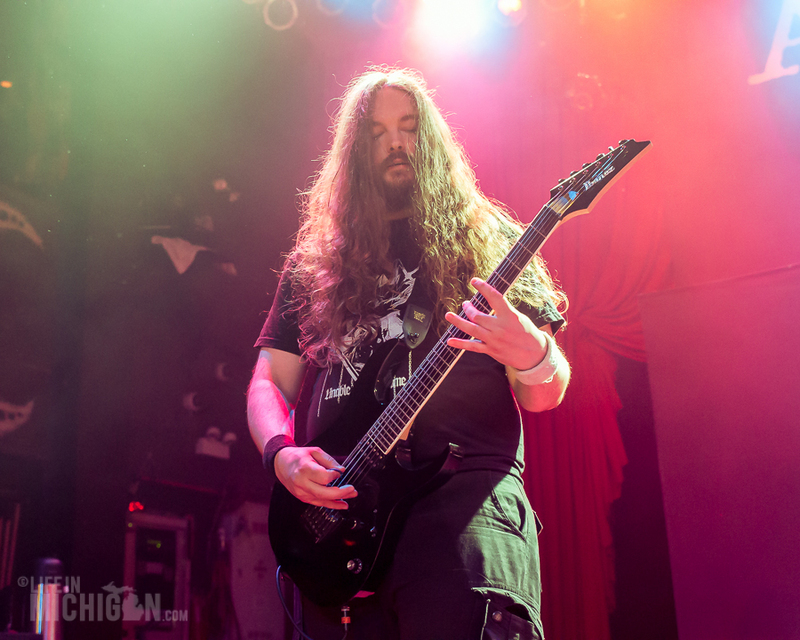 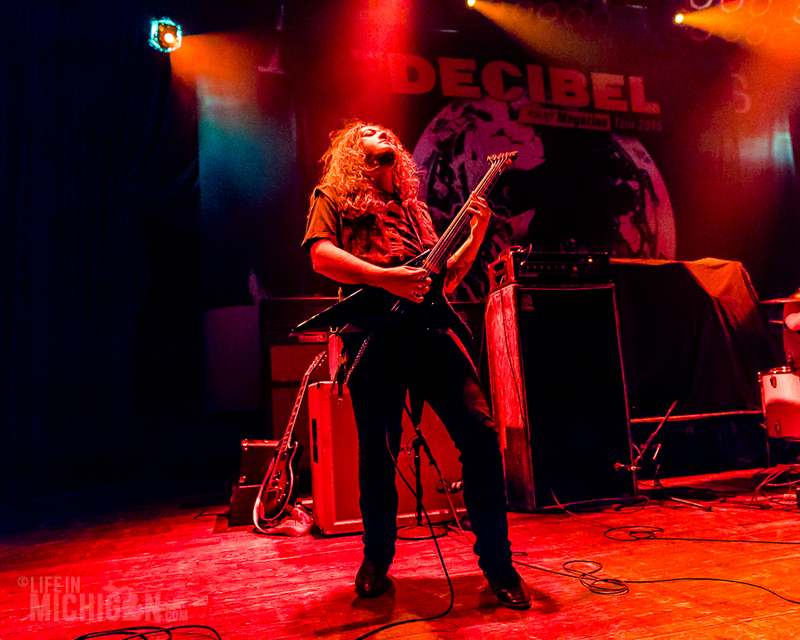 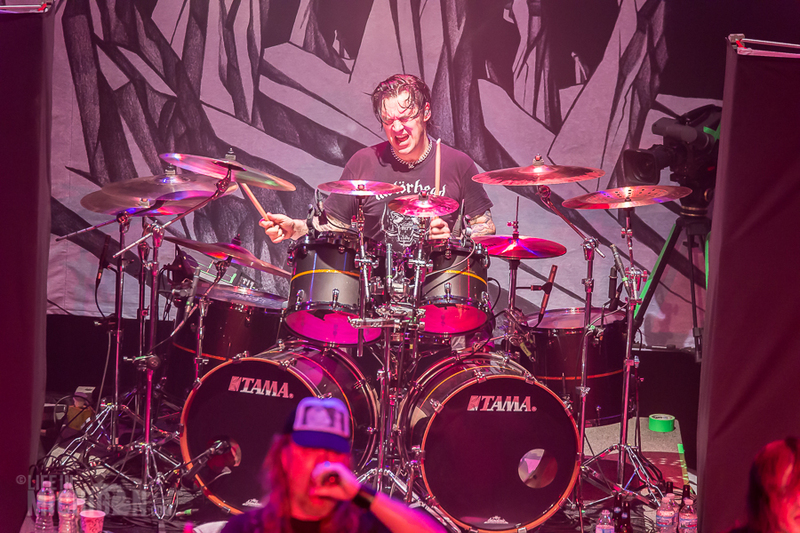 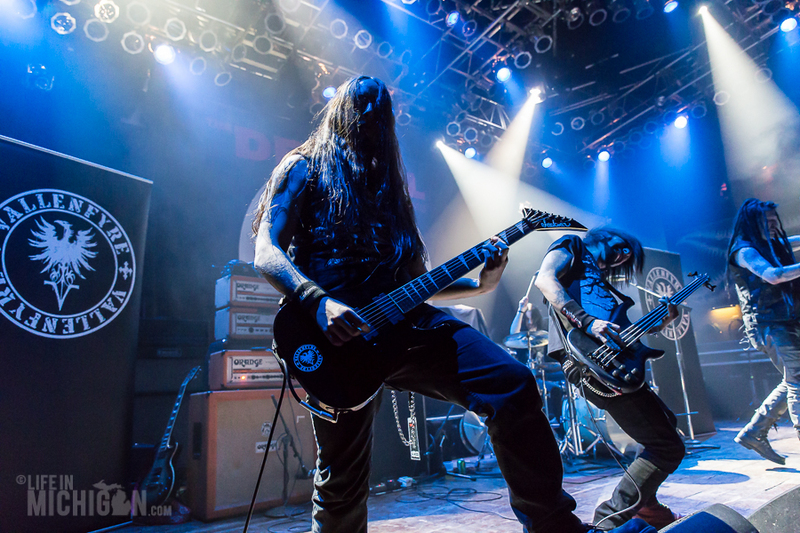 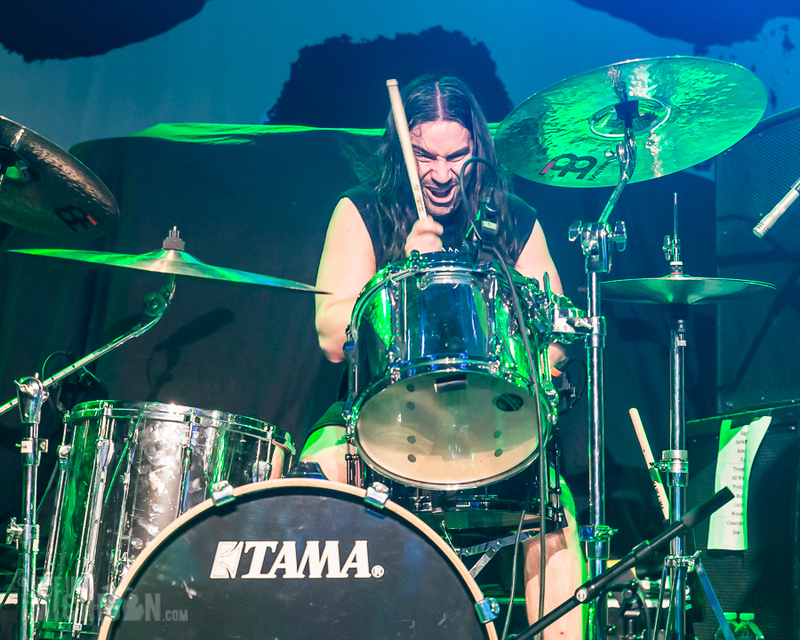 The Decibel Magazine Tour has been tearing across the United States, featuring a diverse line-up that ranges from doom to melodic death metal. 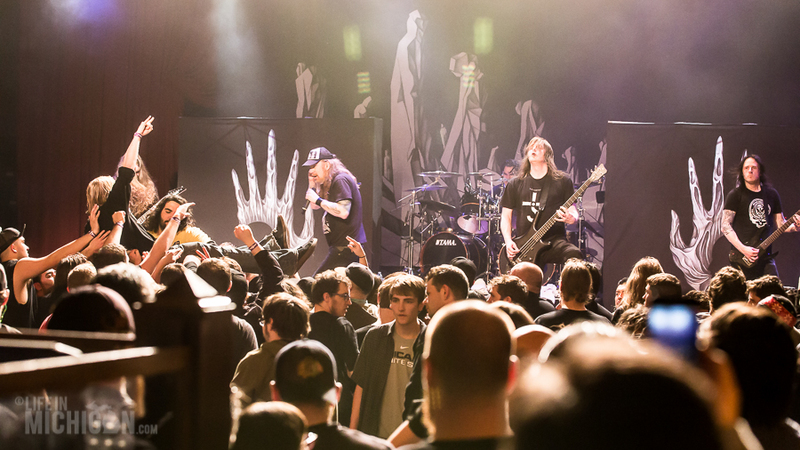 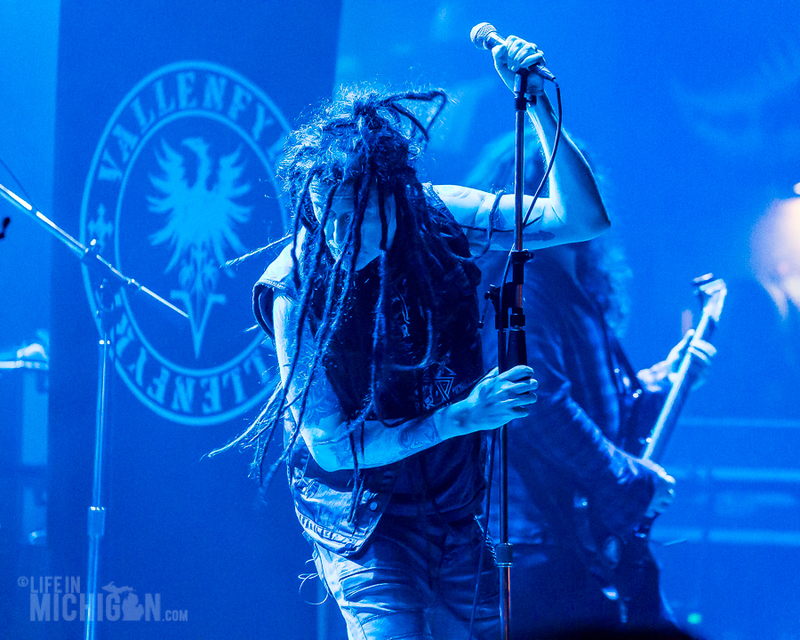 The headliner for this tour was At The Gates with support from Vallenfyre, Pallbearer, and Converge. 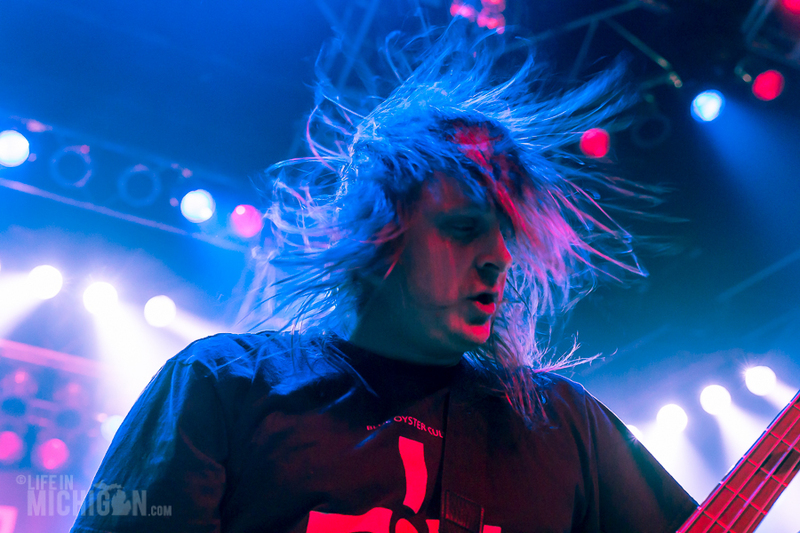 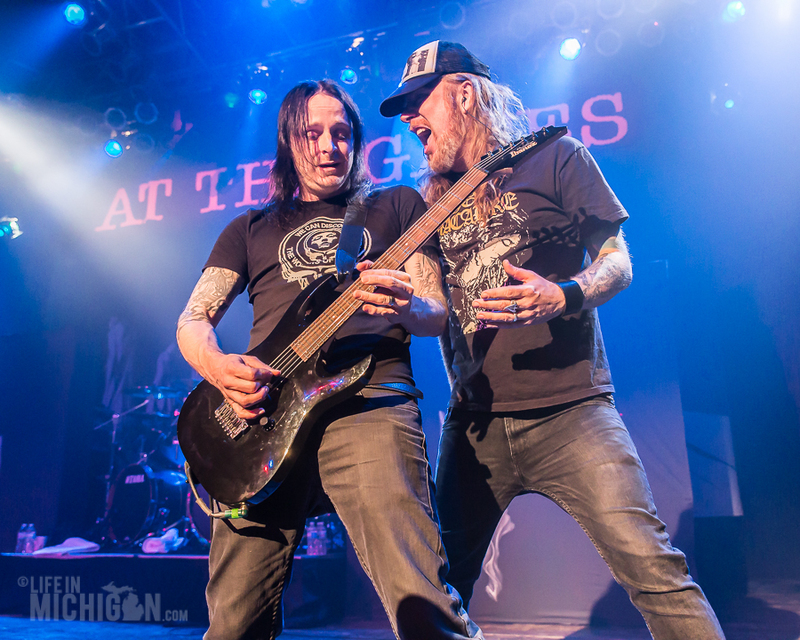 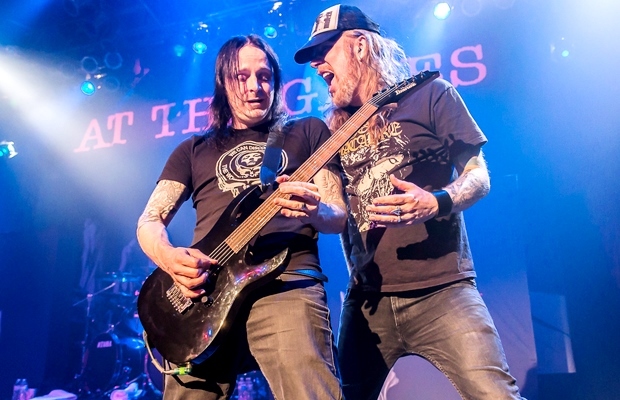 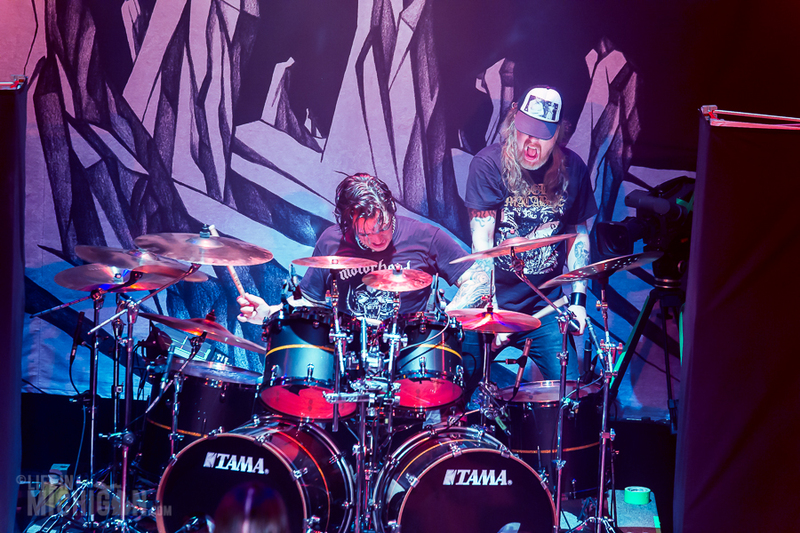 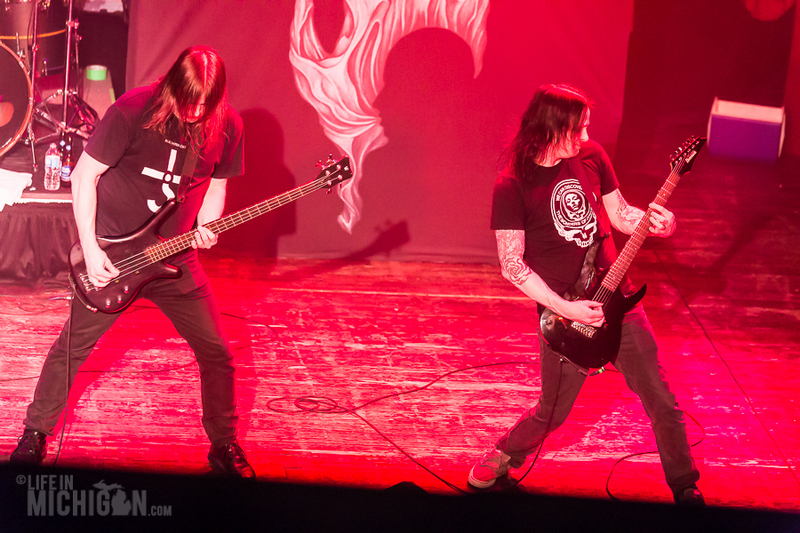 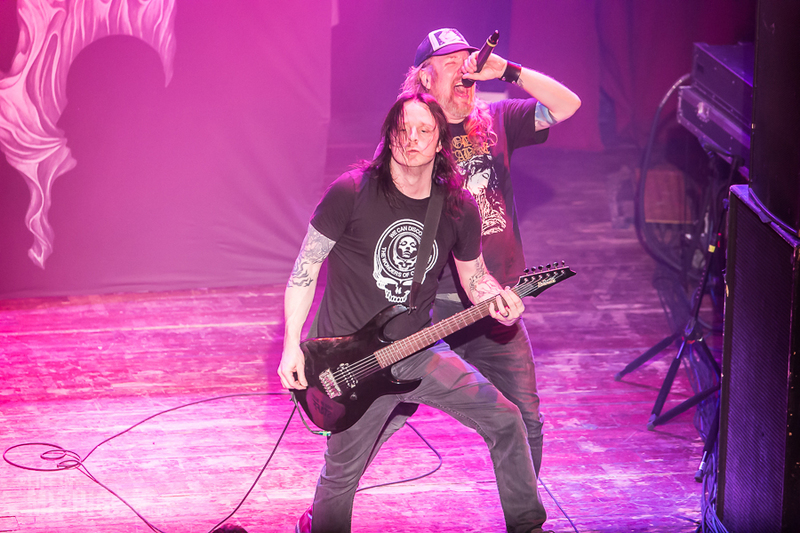 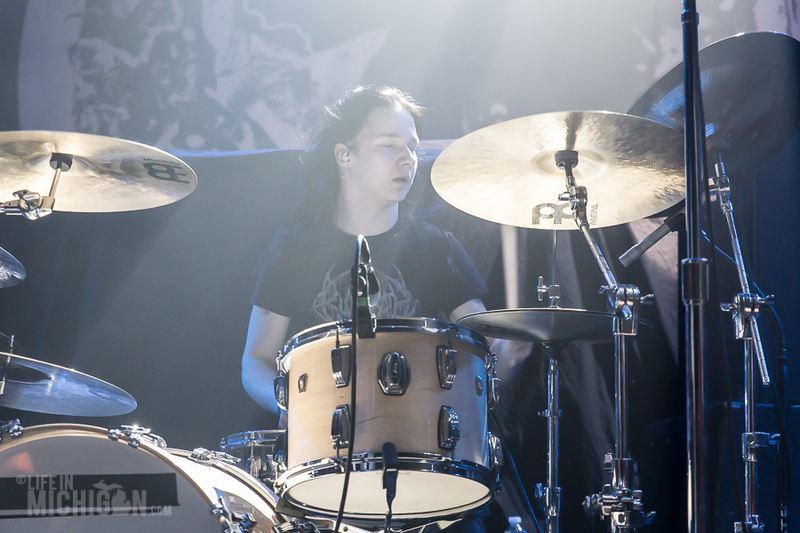 Before the gig at the House of Blues in Chicago, I was able to take a few minutes to chat with Martin Larsson (guitar) and Adrian Erlandsson (drums) from At The Gates to talk about the tour, music, and breakfast foods. 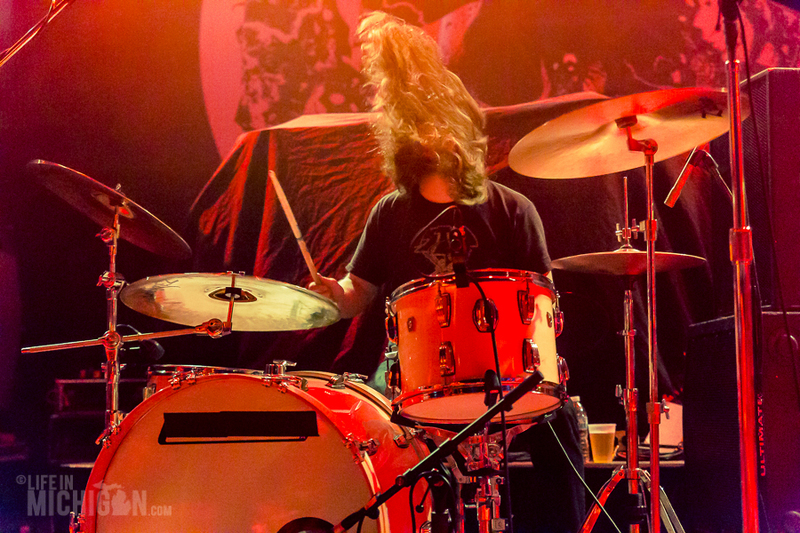 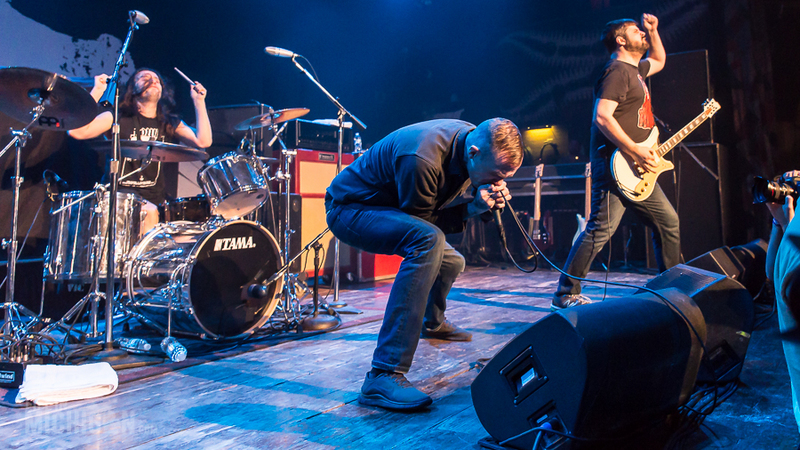 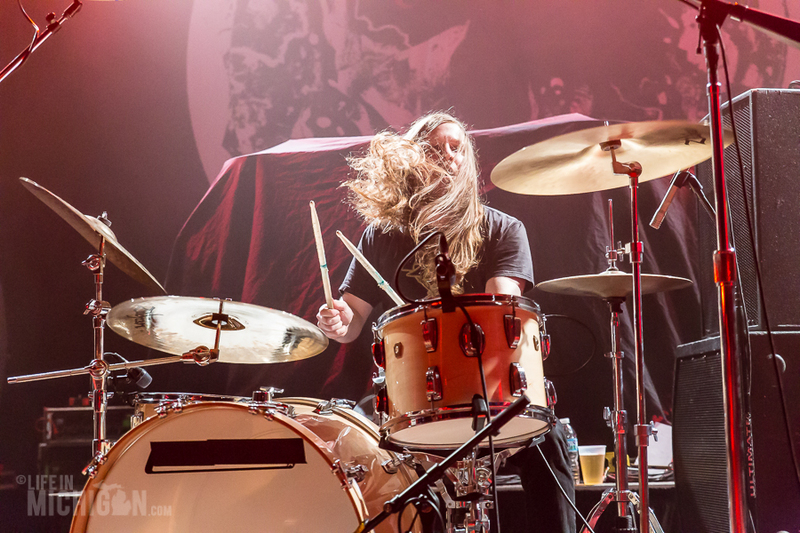 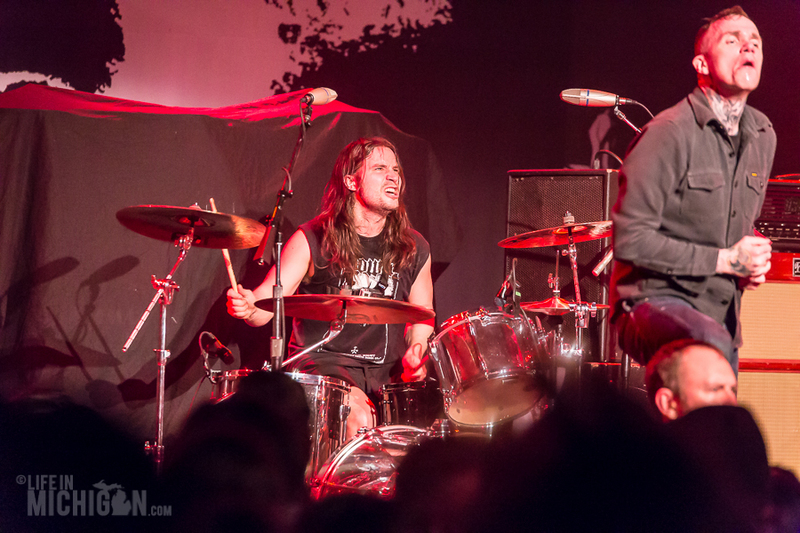 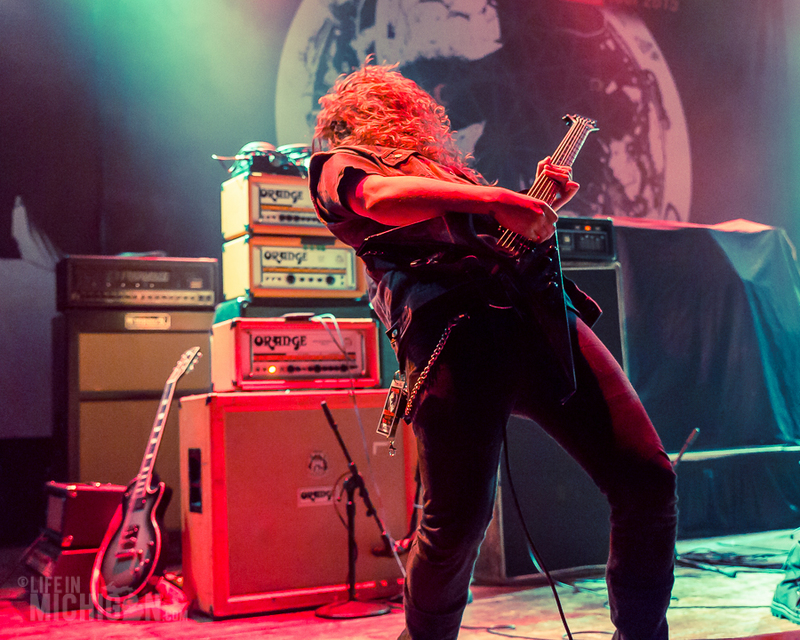 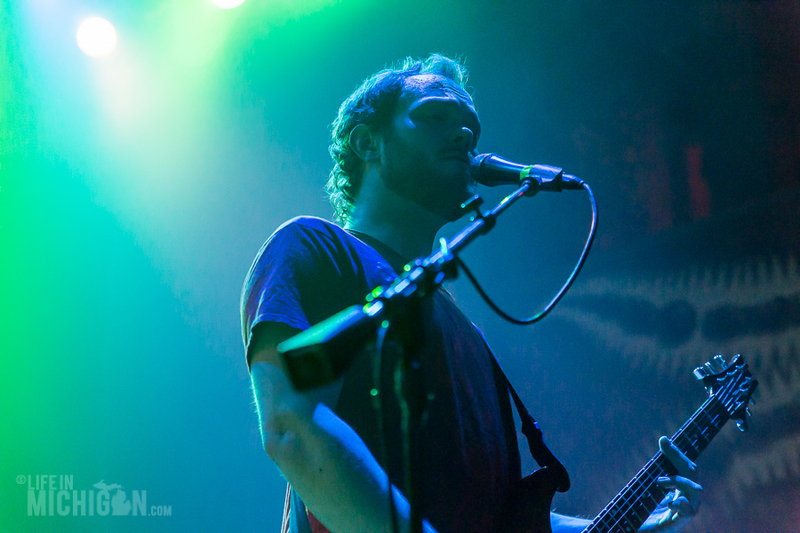 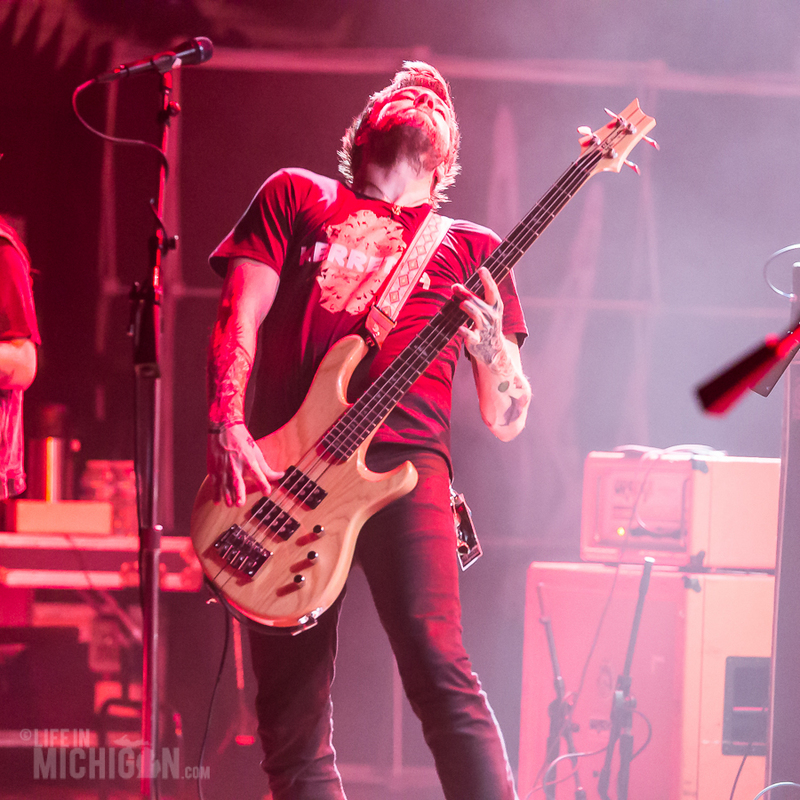 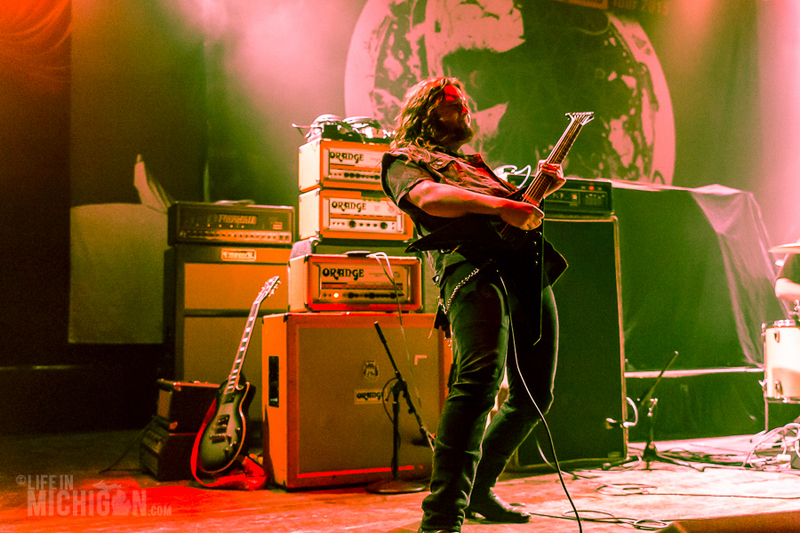 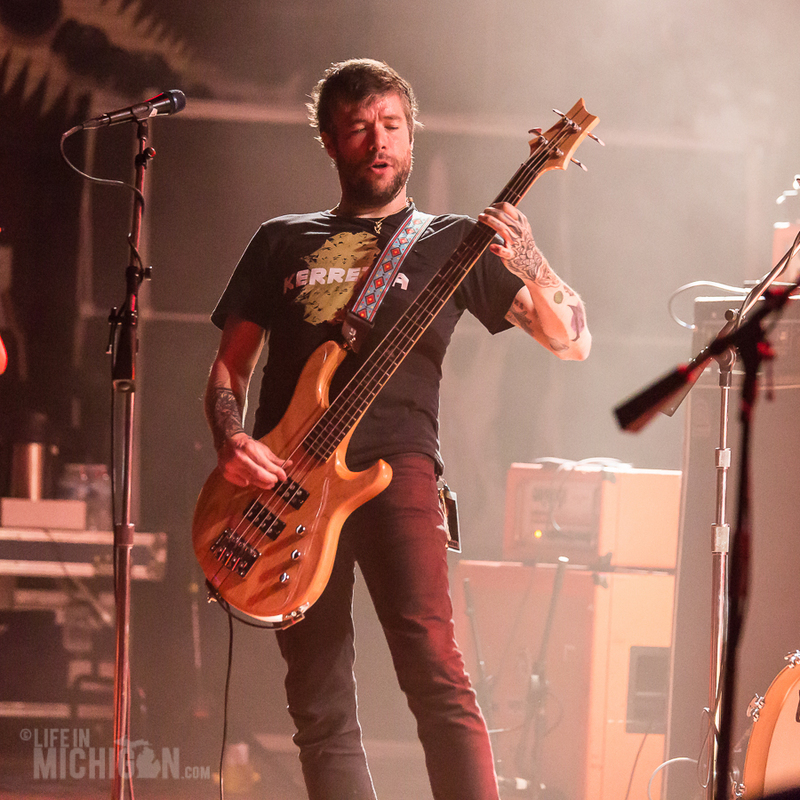 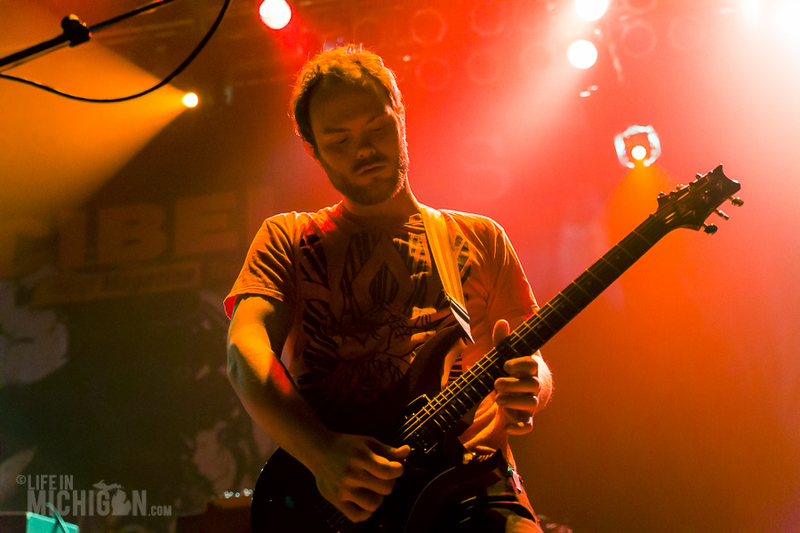 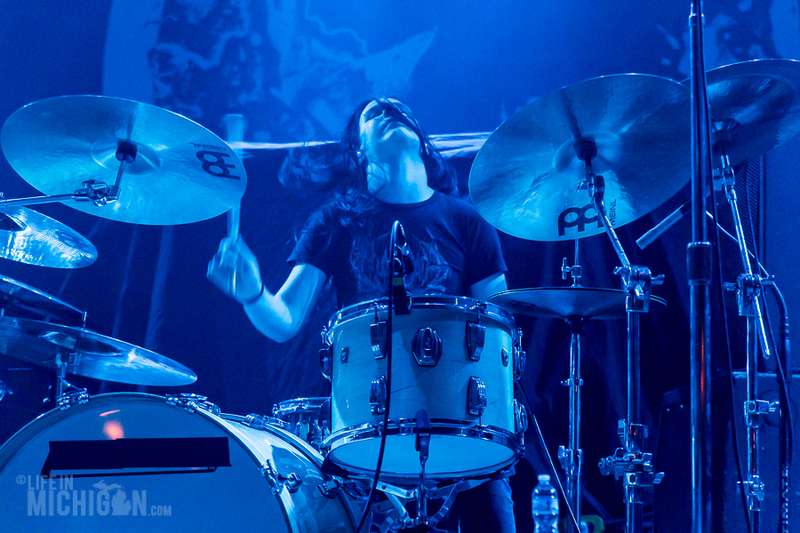 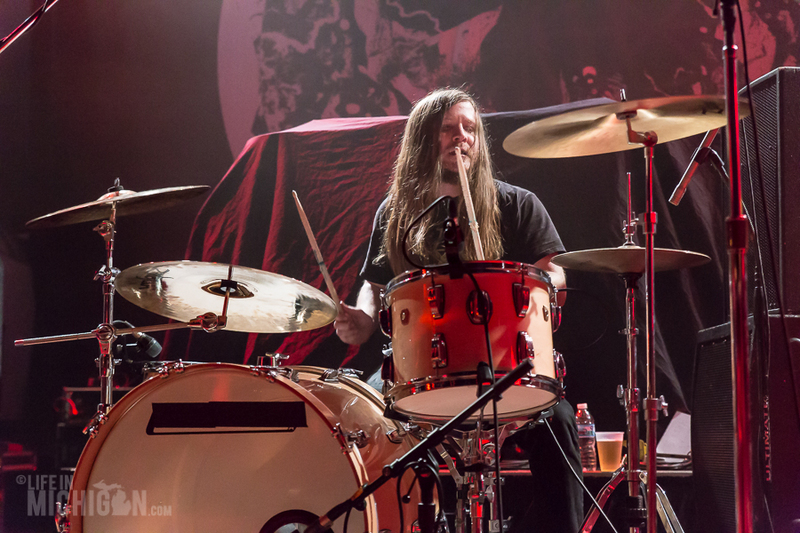 Pallbearer’s set featured just three songs, yet they were epic in proportion. 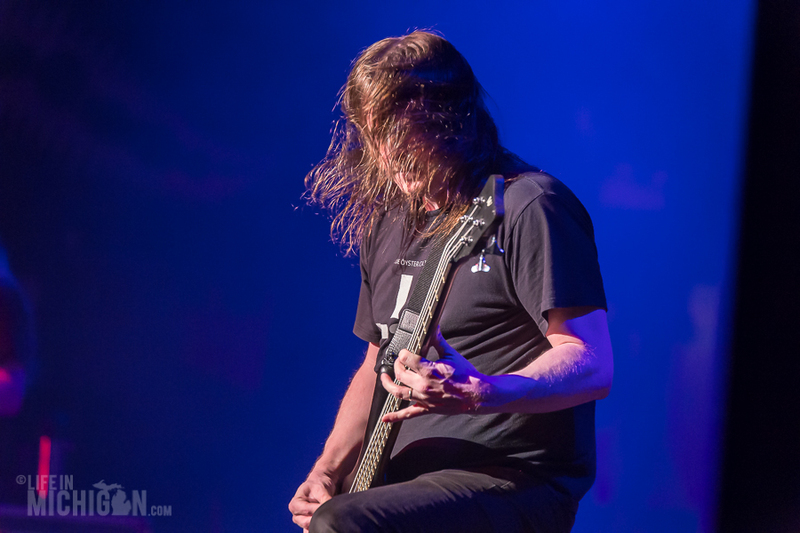 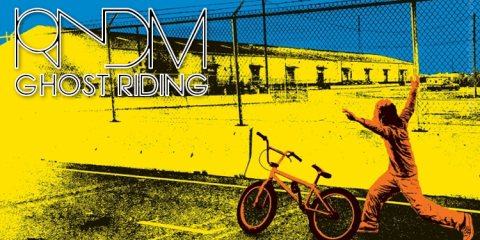 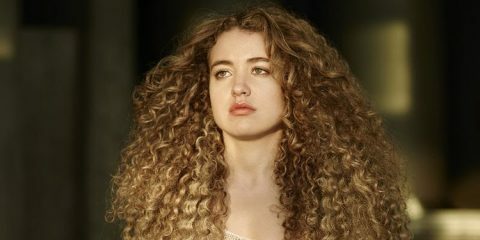 Featuring the clear and compelling vocals of Brett CampbellÂ within a voluminous wave of sound, the tone was deep and thunderous. 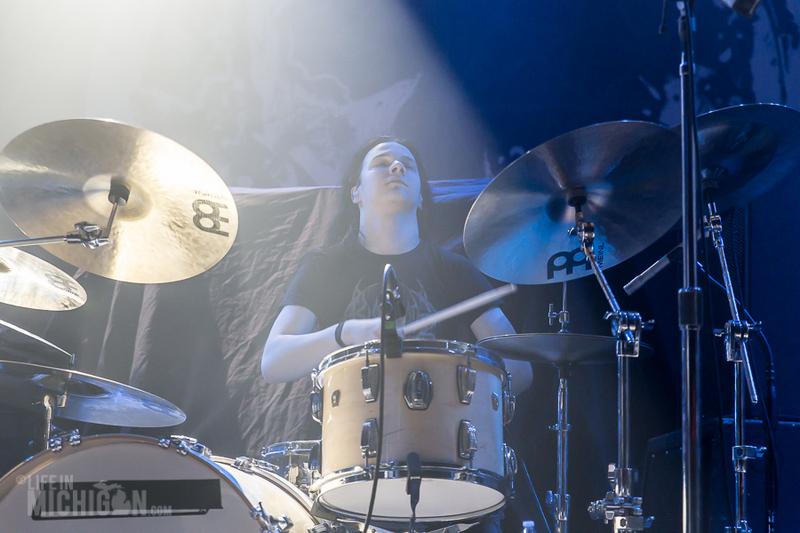 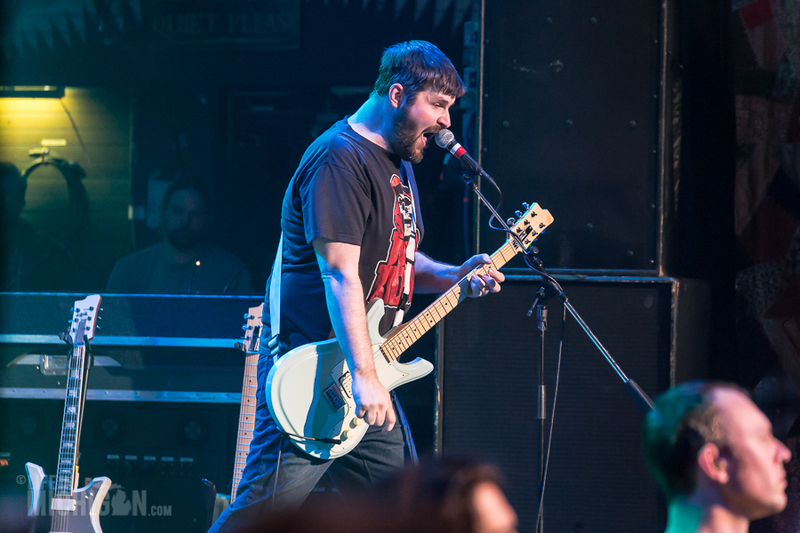 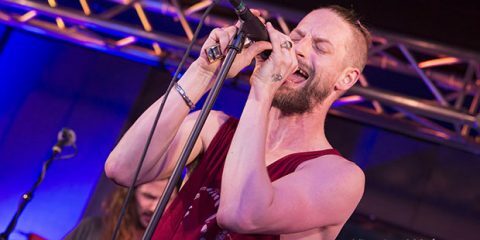 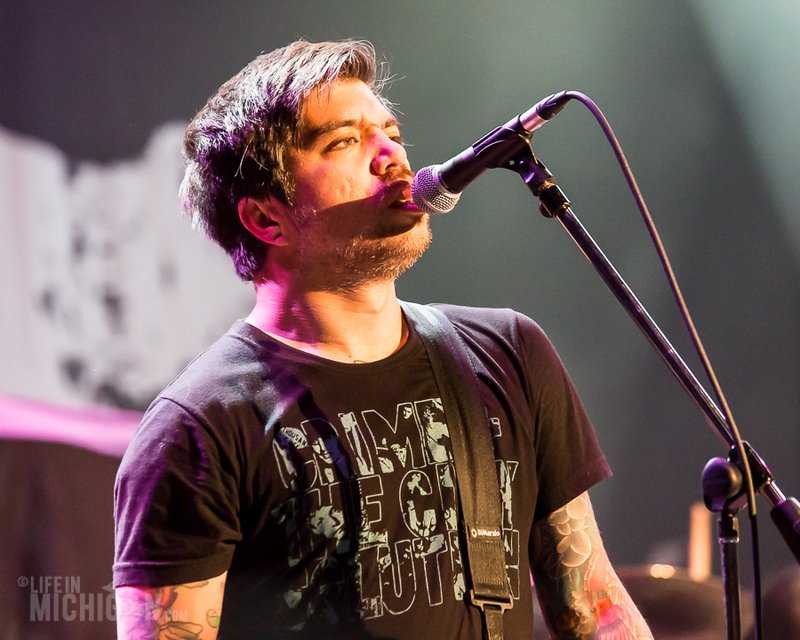 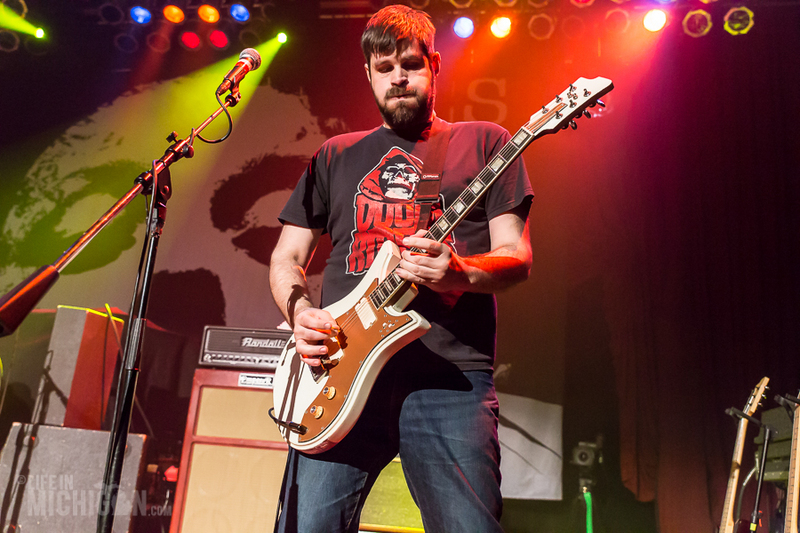 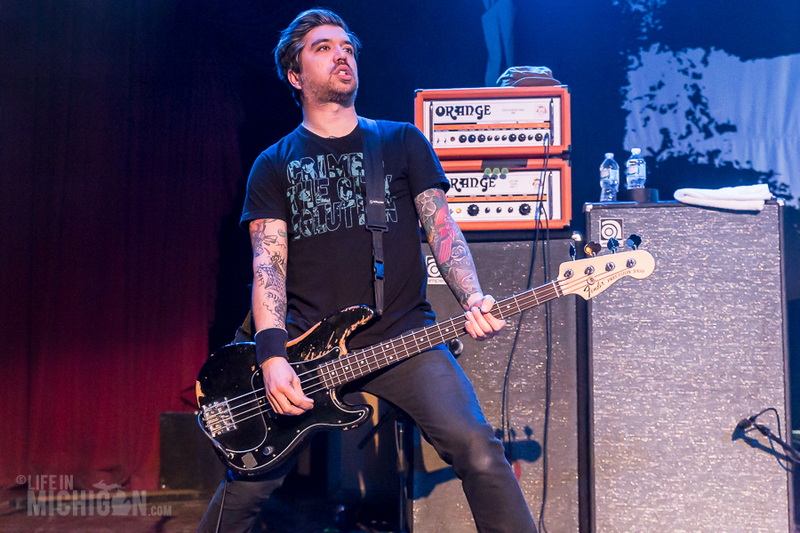 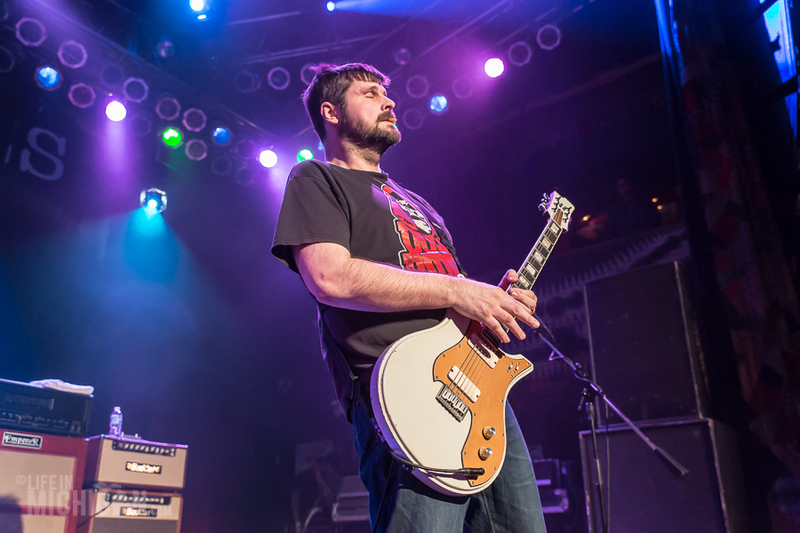 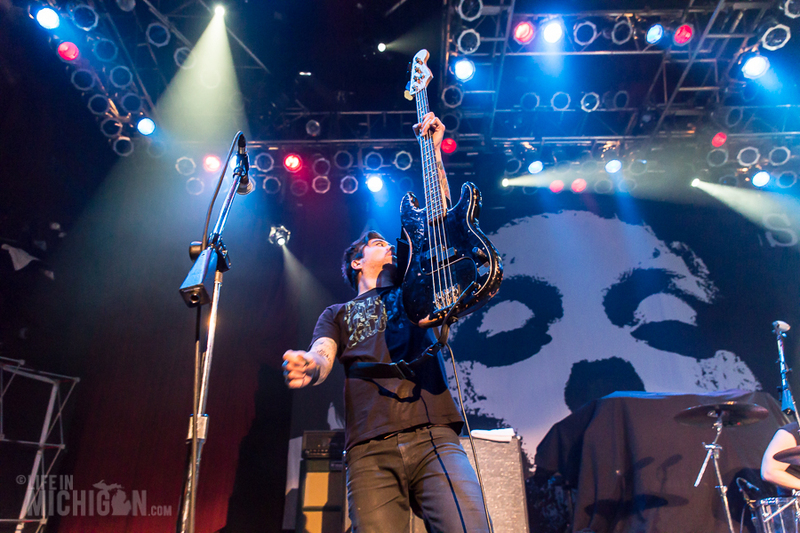 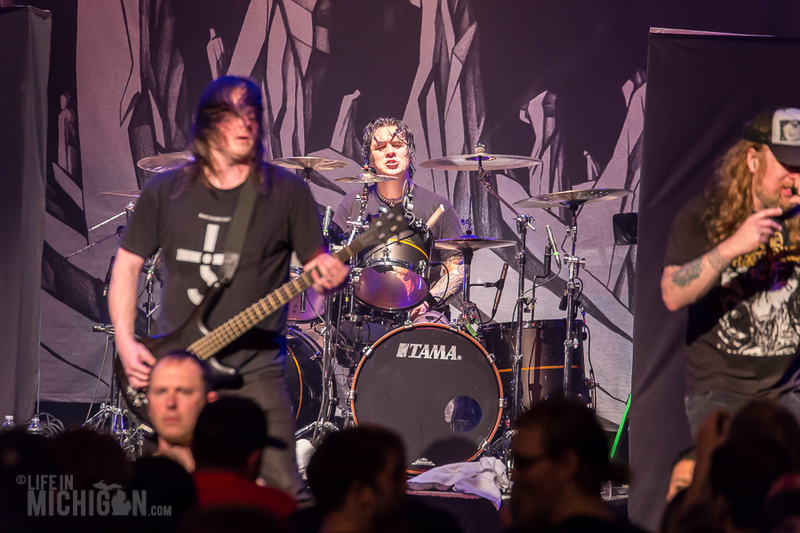 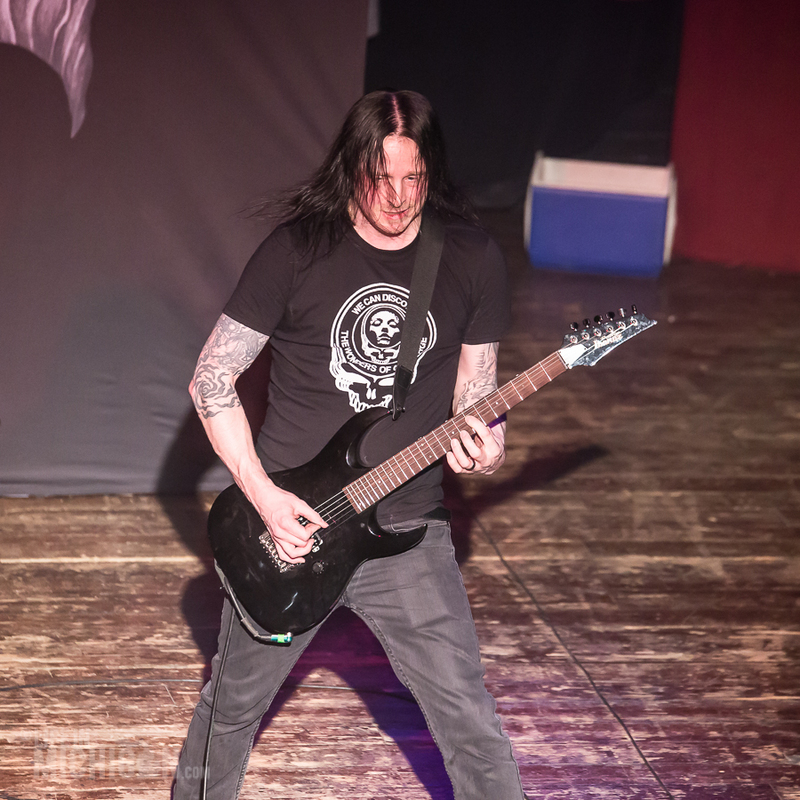 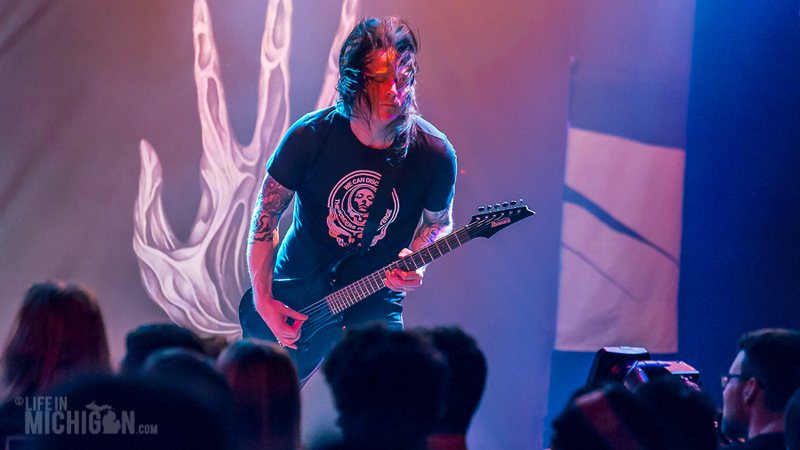 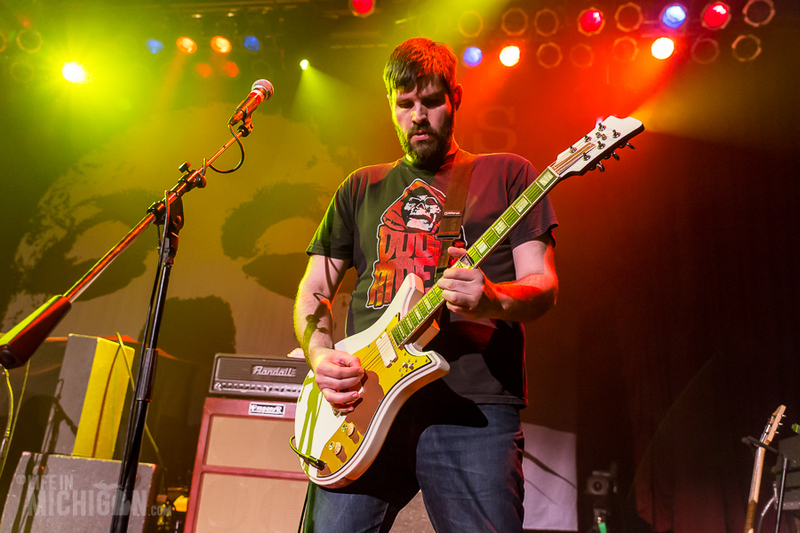 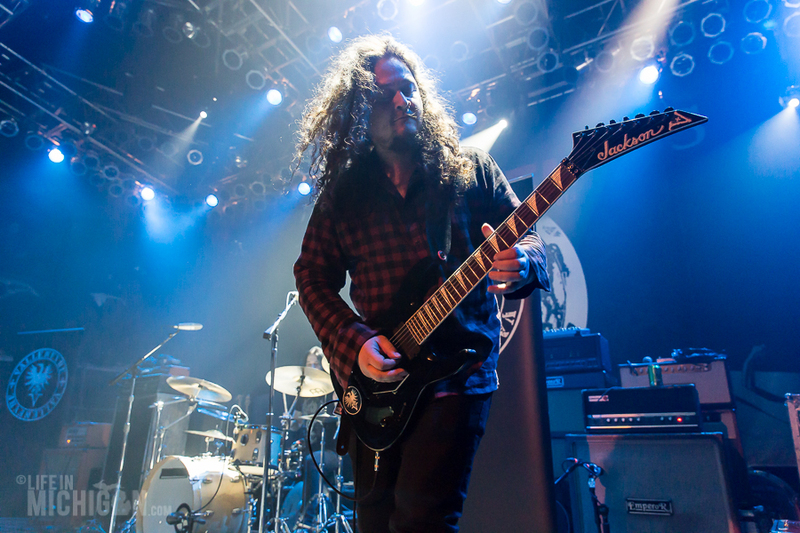 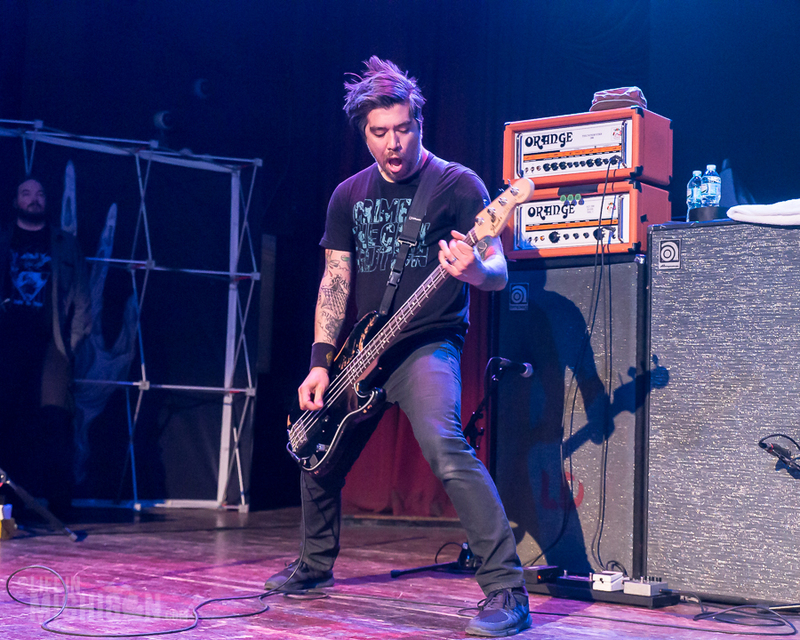 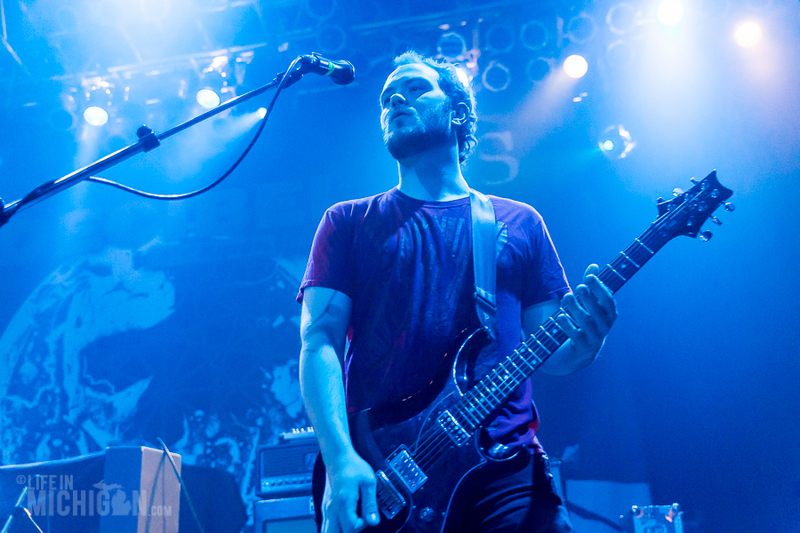 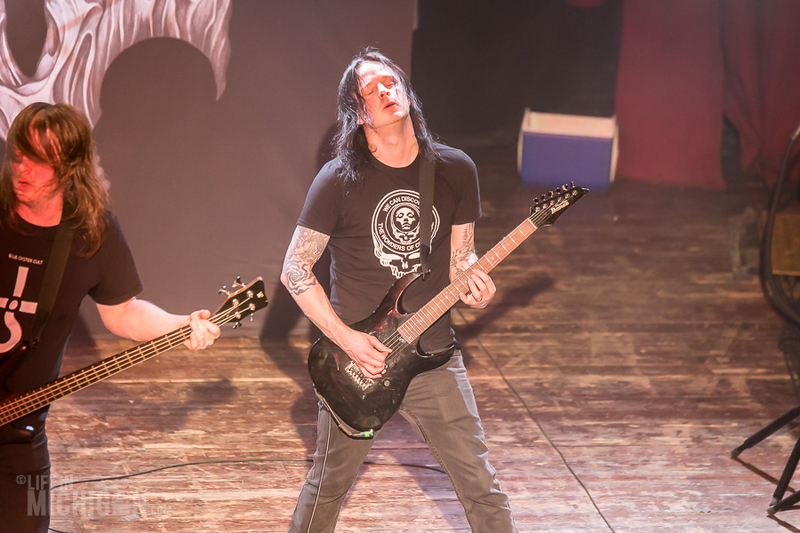 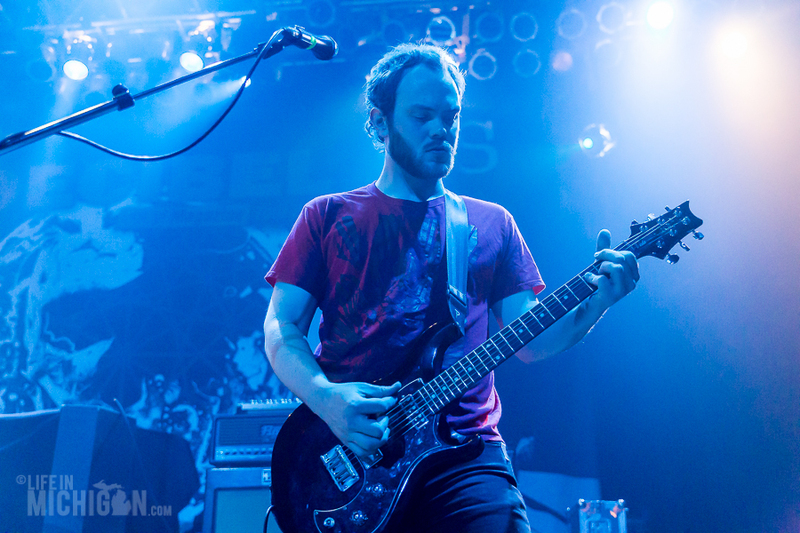 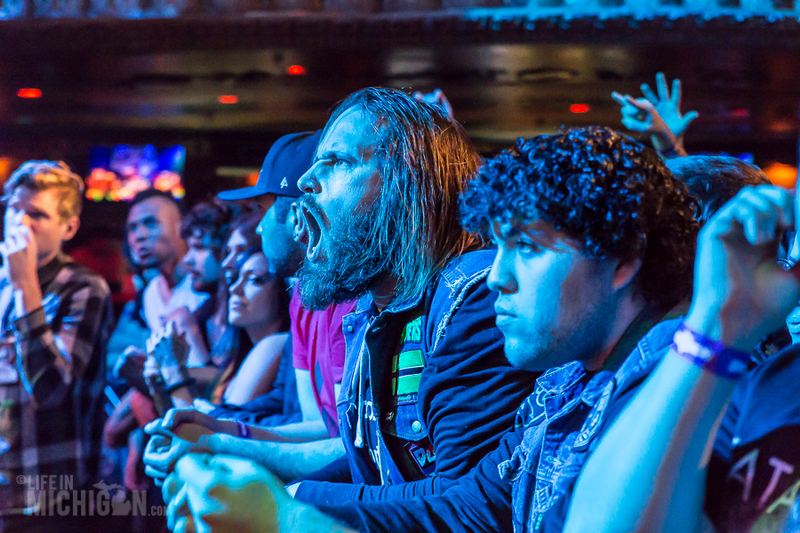 AudienceÂ could see theÂ giant pondering riffs pounding guitarist Devin Holt as he played. 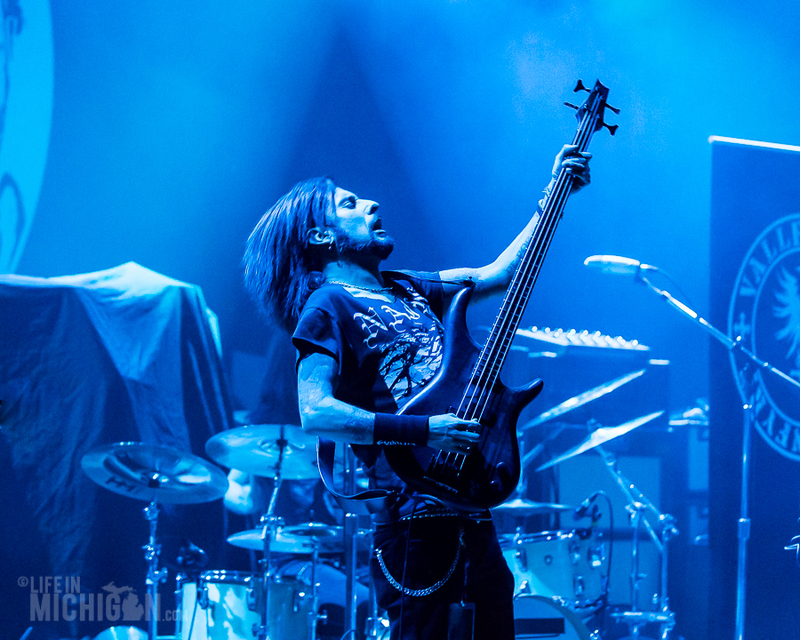  Joseph Rowland (bass) moved as a wizard conjuring sonorous lamentations. 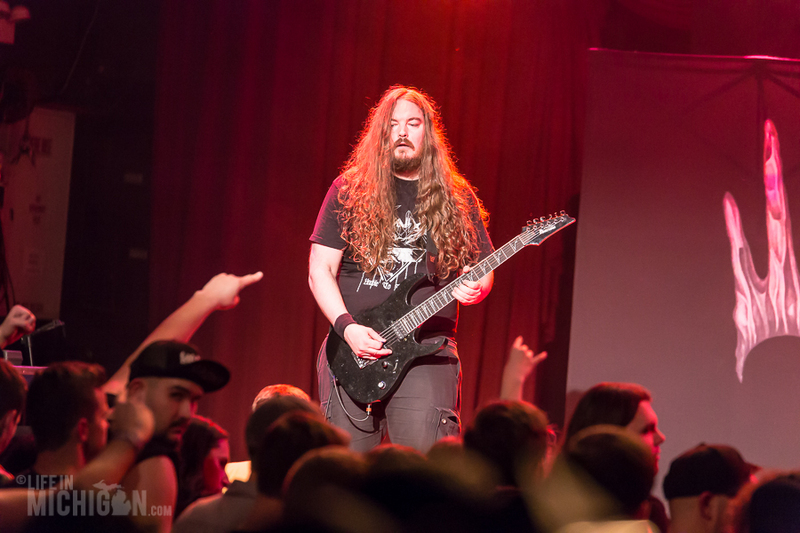 From observing reactions around the room, it looked as those Pallbearer had gained many new fans. 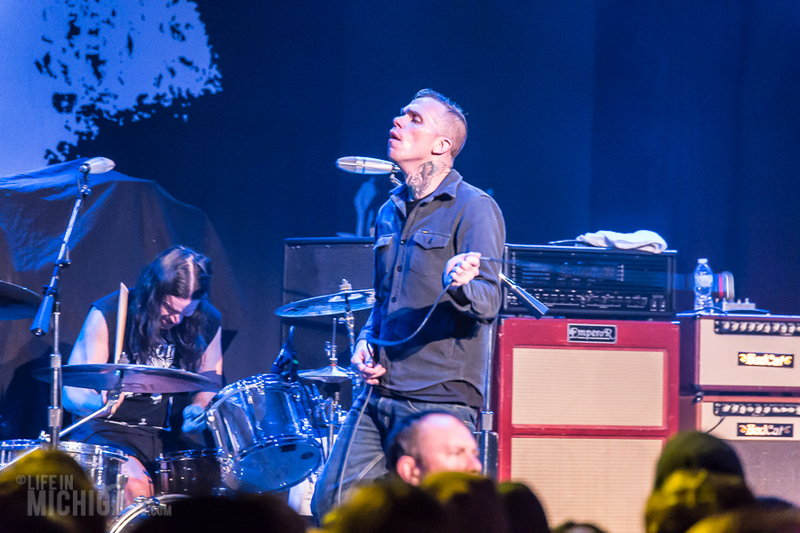 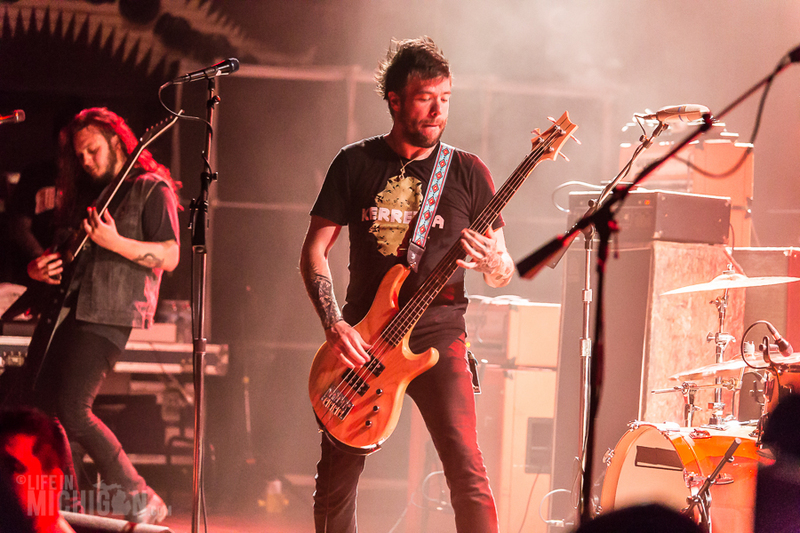 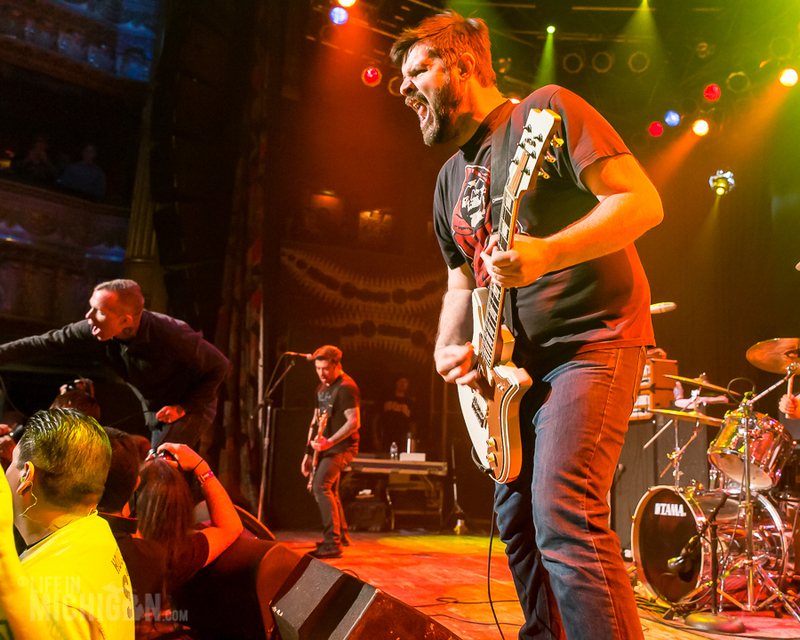 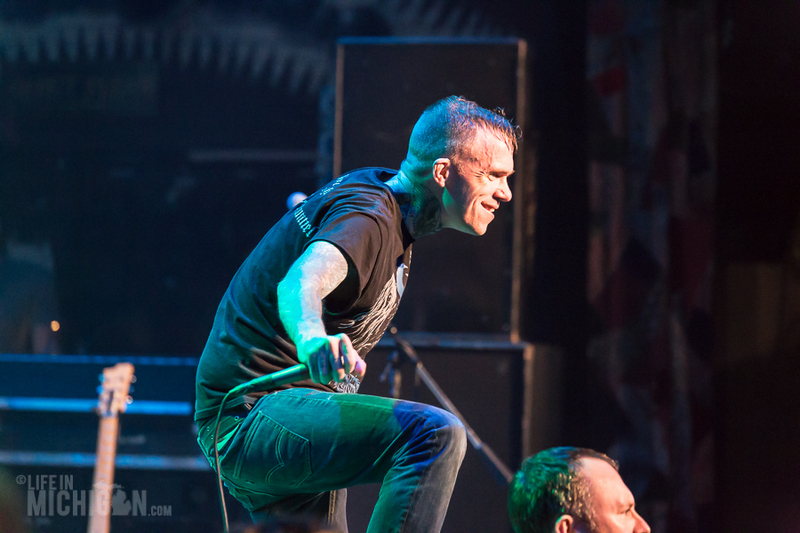 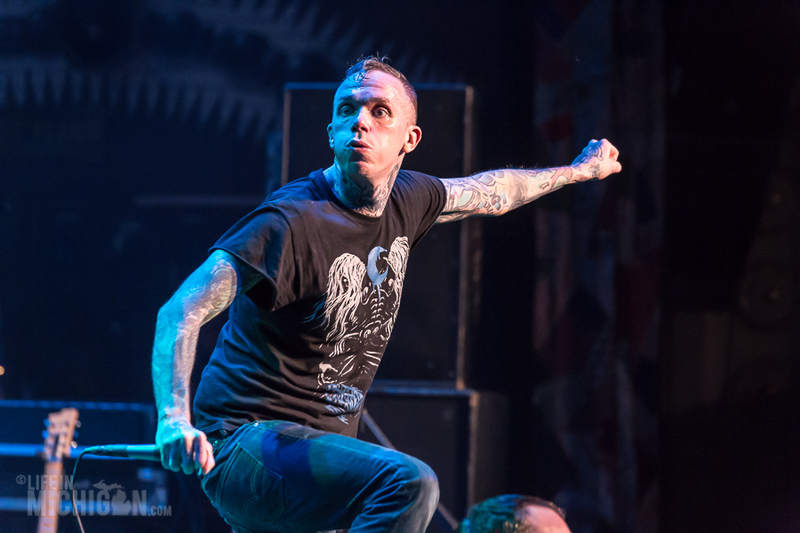 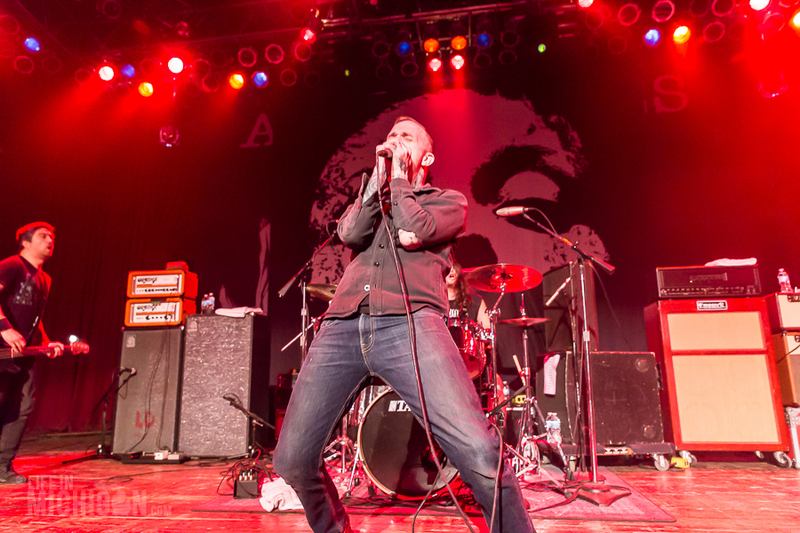 With screeching tires and the concussive impacts of a car crash, Converge ignited the pit at the House of Blues. 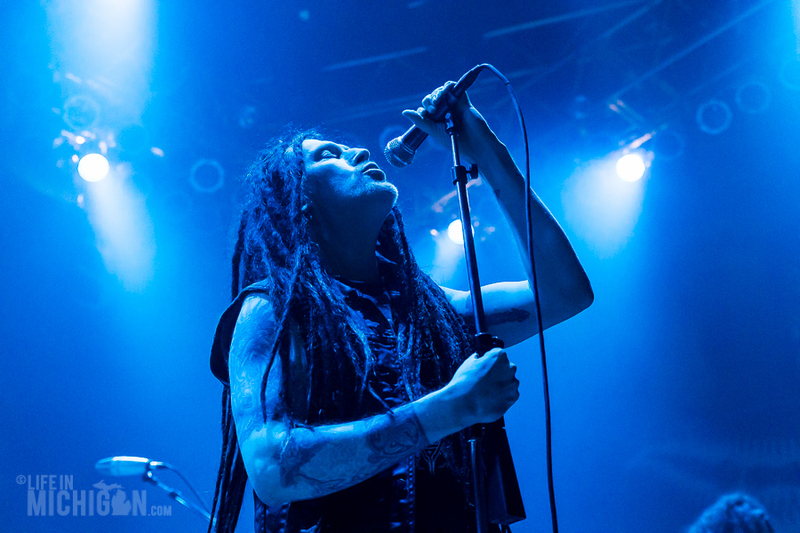 The sound was a chaotic and frantic. 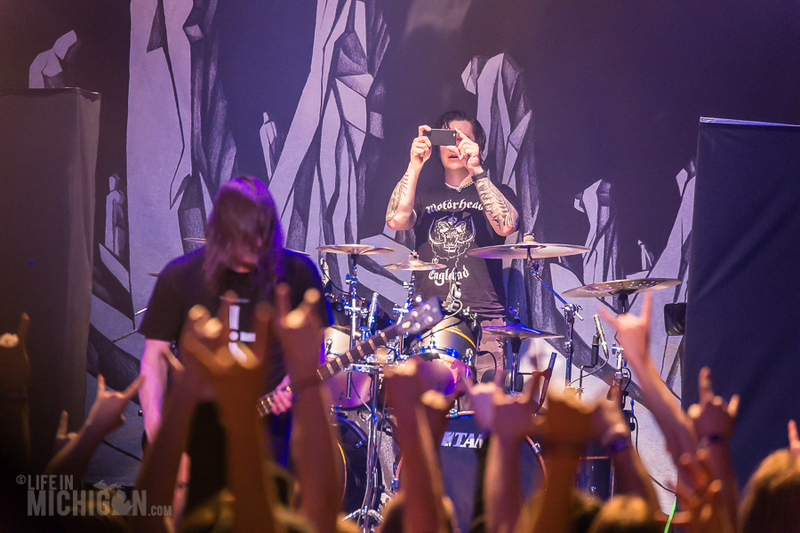 Yet within the storm of notes, they casted a beautiful brutality upon the audience. 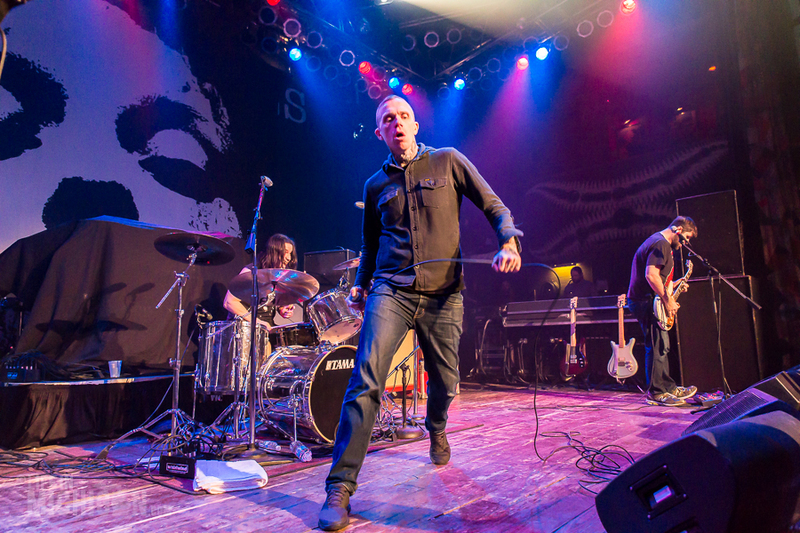 The entire band let the music move them at will. 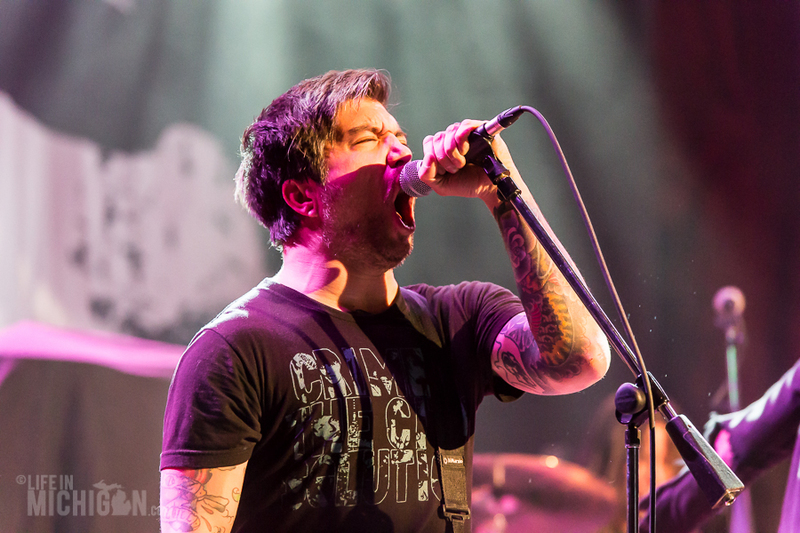 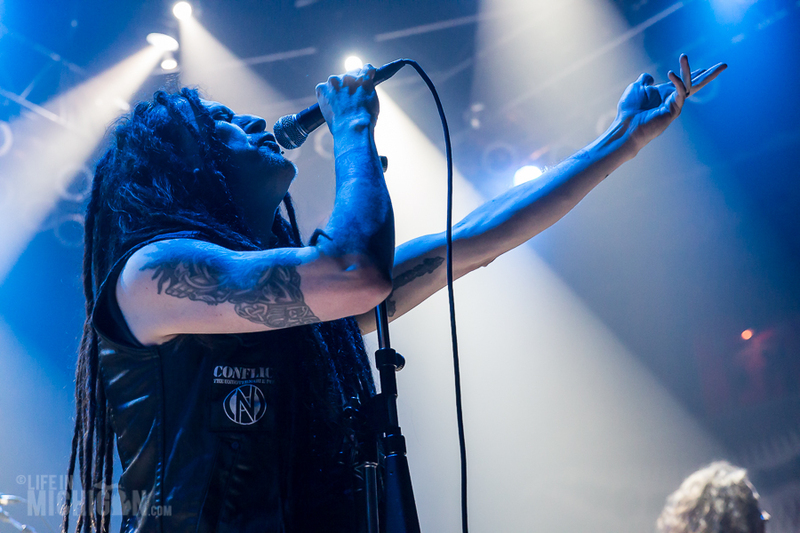 This was most evident with vocalist, Jacob Bannon as he raced around the stage throwing his microphone into the air. 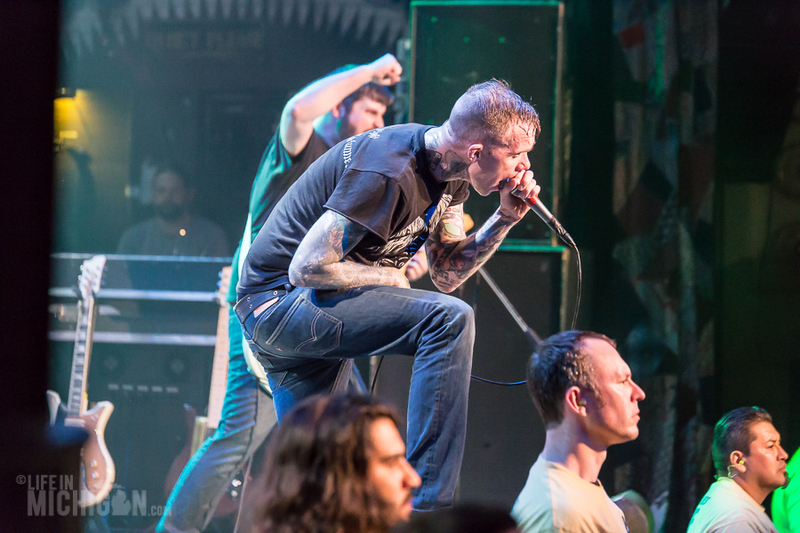 Converge were vehement with each song they delivered. 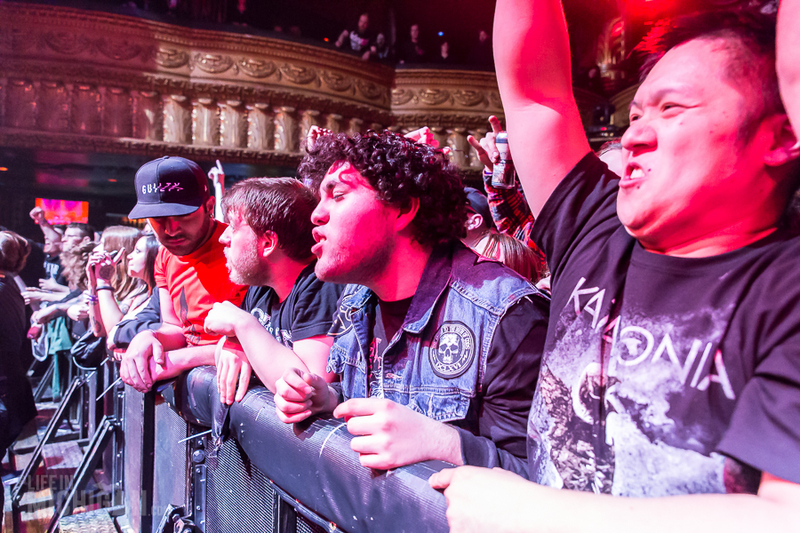 The crowd responded in kind with a fervent pit. 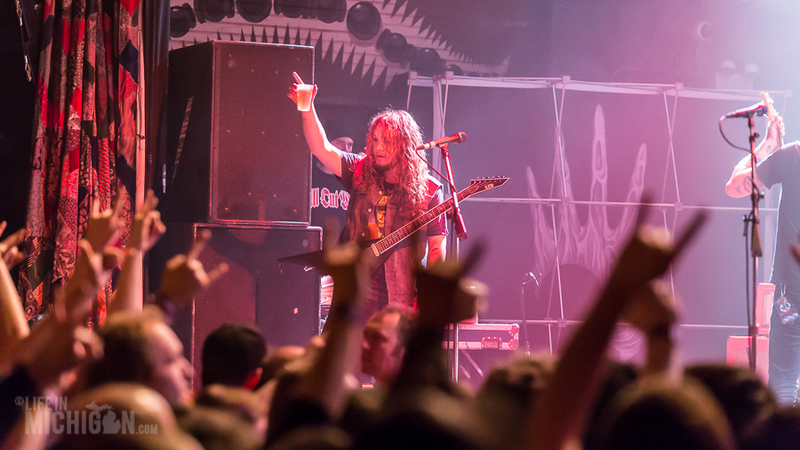 As the intro track of “El Altar del Dios Desconocido” filled the hall, At The Gates took the stage to a hail of cheers from their fans. 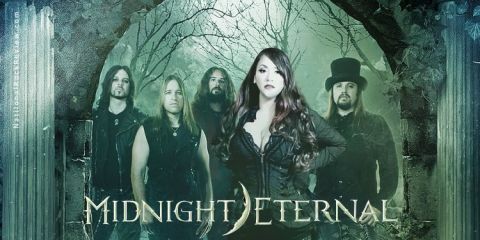 They immediately tore into “Death and the Labyrinth” from their latest release At War With Reality. 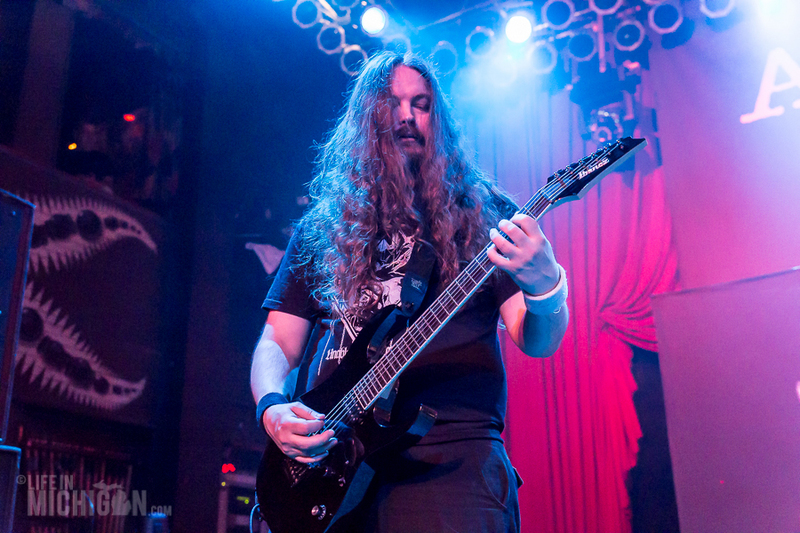 Unrelenting, they played “Slaughter of the Soul” and with a scream of “GO!” from the crowd, brought the terrible splendor of “Cold.” At The Gates touched on each album in their discography with such songs as “Terminal Spirit Disease,” “Raped by the Light of Christ,” and “Windows.” Their set was heavy with songs from At War With Reality. 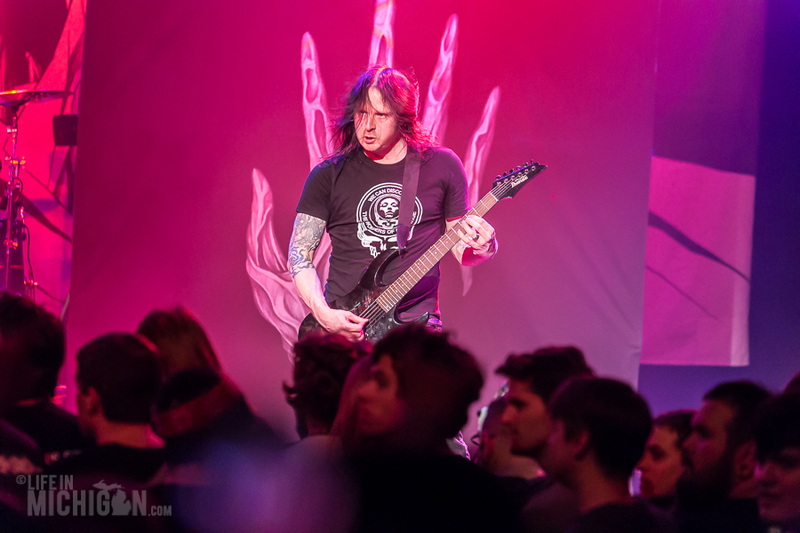 “The Circular Ruins” and “Heroes and Tombs” sounded fantastic in the full roaring light of live music. 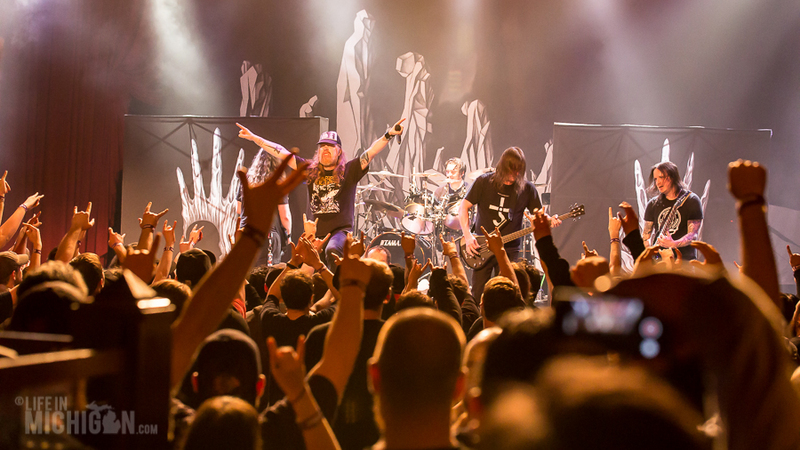 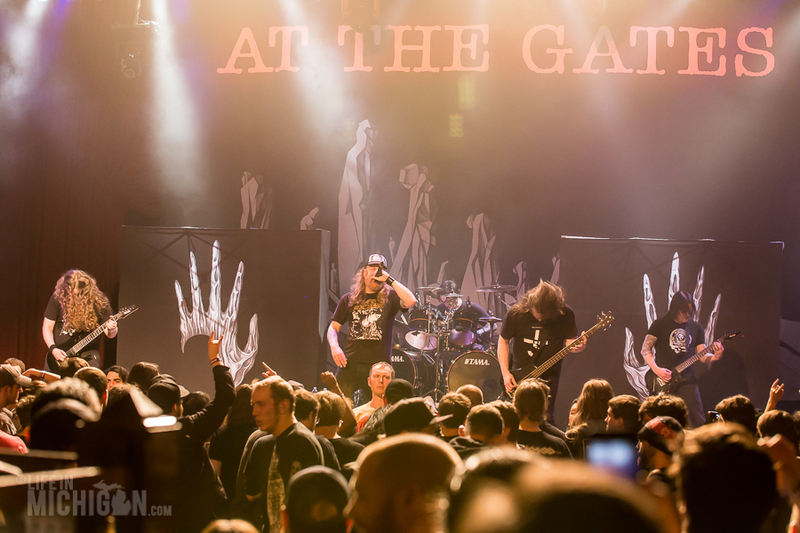 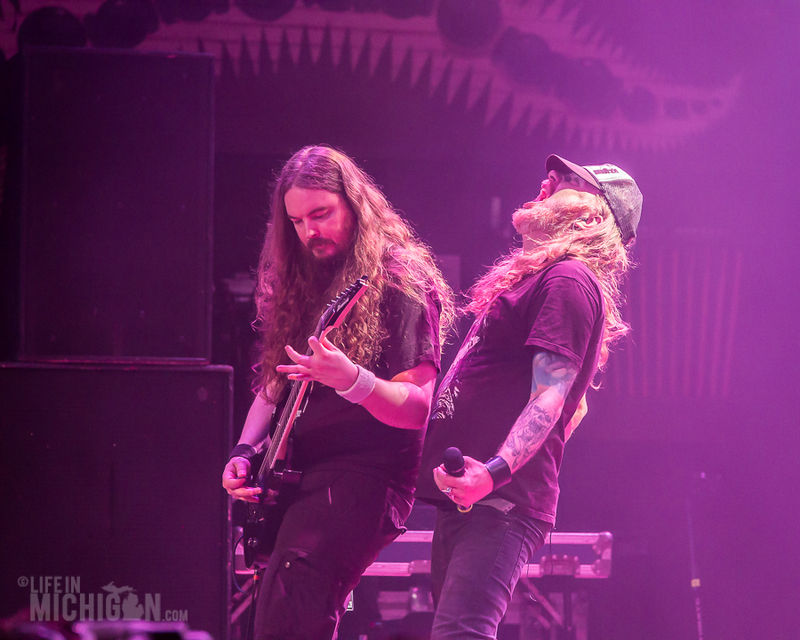 After a short break, At The Gates returned with the blazing “Blinded By Fear,” followed by “Kingdom Gone,” and finishing with the poetic anthem of “Night Eternal” with each member stepping off the stage as the song came to its triumphant end. 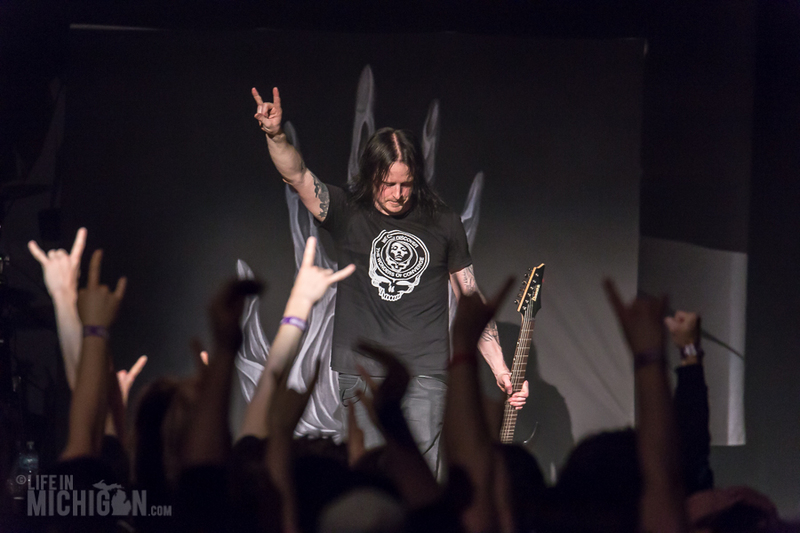 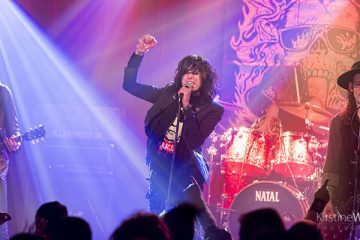 This was an extraordinary show that highlighted the diverse and plentiful bounty of metal music.